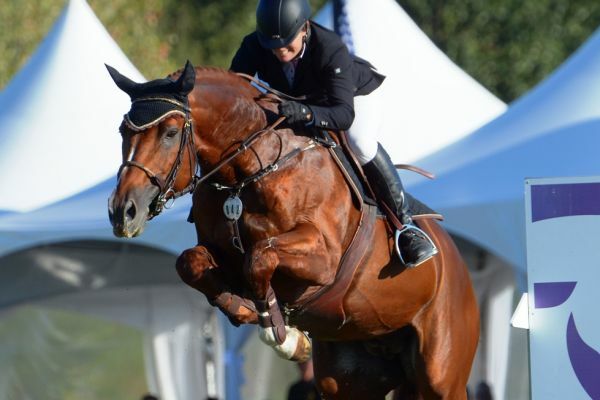 Zeno has proven to be a truly multi talented stallion jumping up to the 1.60m jumpers and also having a lot of success in the hunter ring especially the Hunter Derbies. 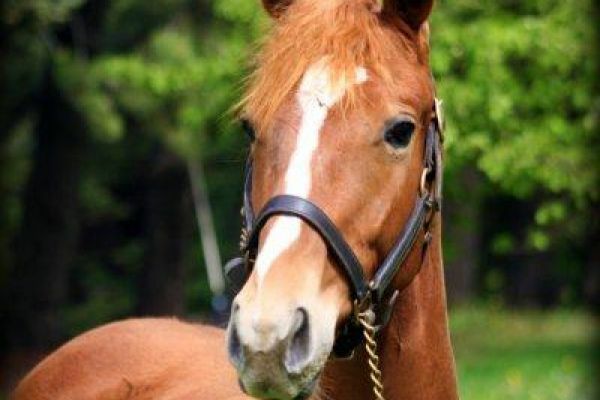 We are very saddened to report that Zeno has passed away due to complications following two colic surgeries, he was a fighter right to the end and will be very much missed by both the farm and those who enjoyed the 'Red Dragons' journey from a regular working hunter to a FEI level jumper. 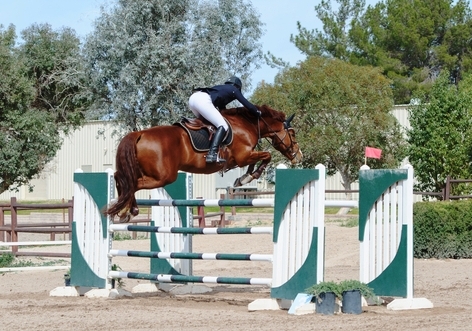 He was clear in his very last class, a 1.50m speed class the day before he coliced. 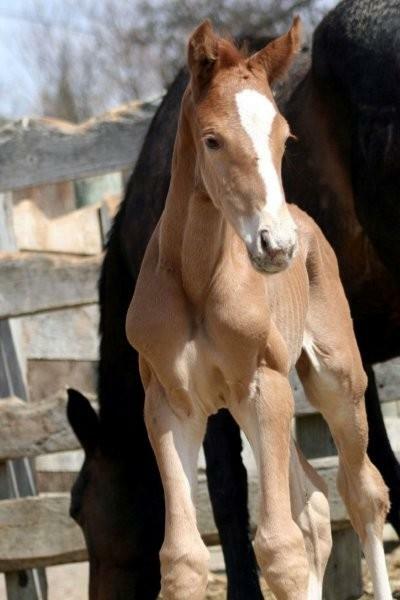 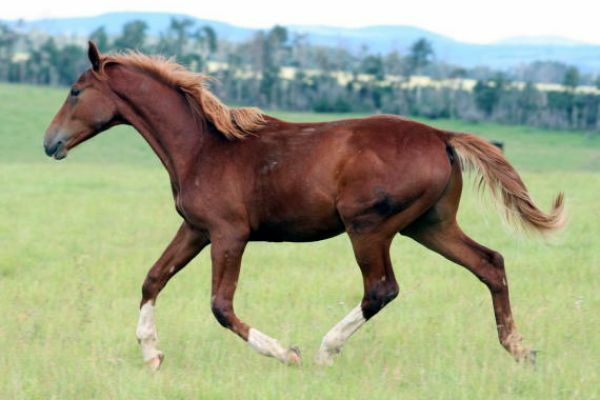 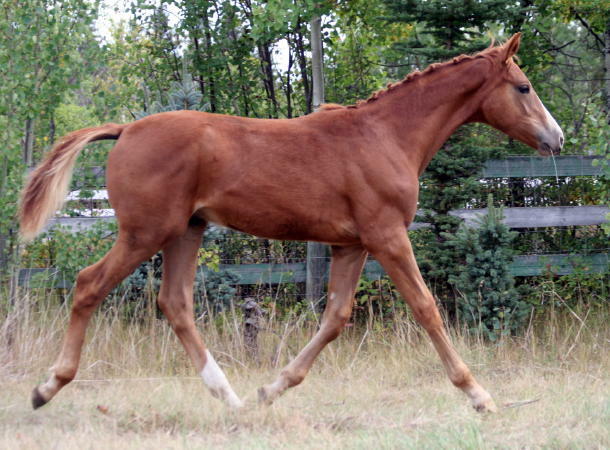 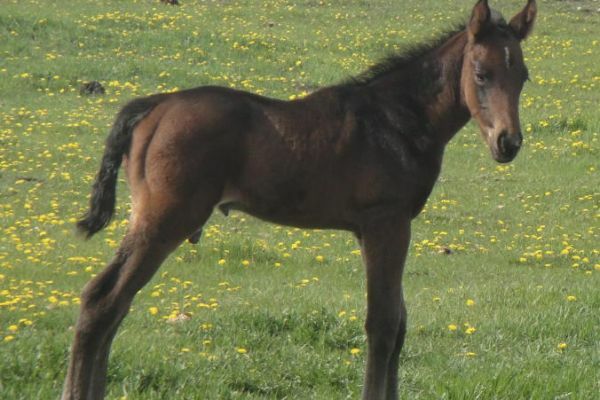 Zeno is a long legged elegant stallion who has proven to be truly multi-talented. 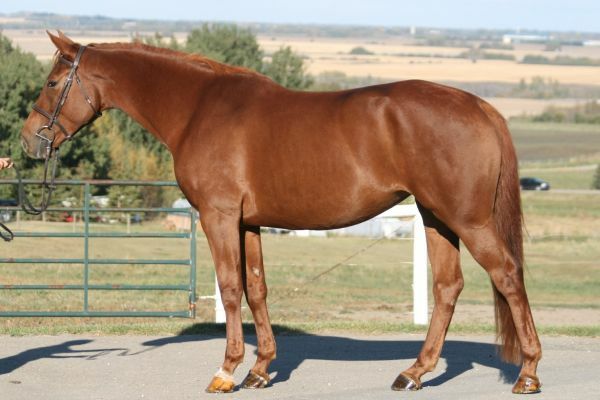 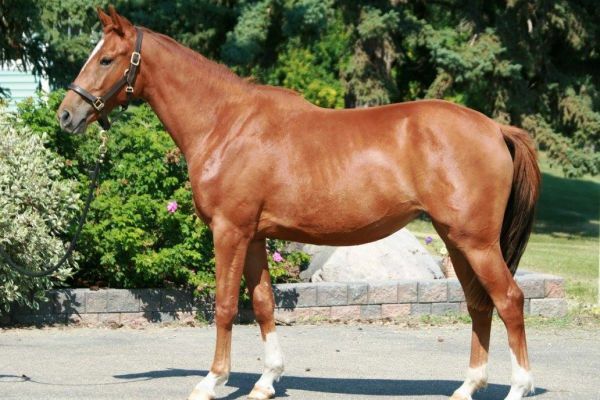 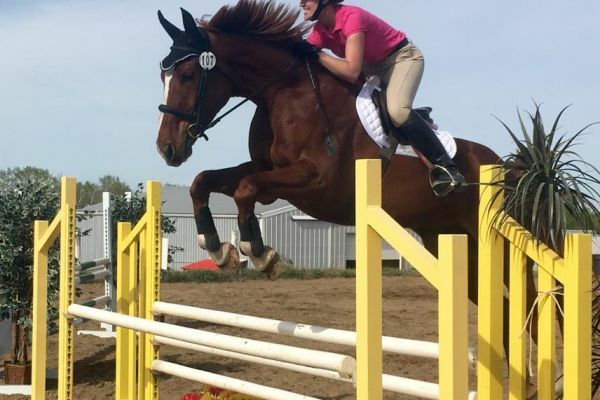 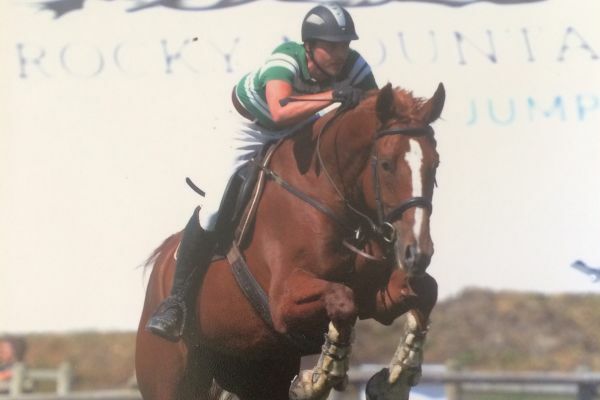 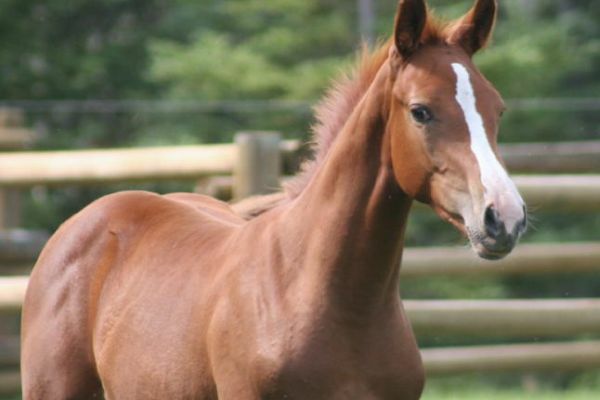 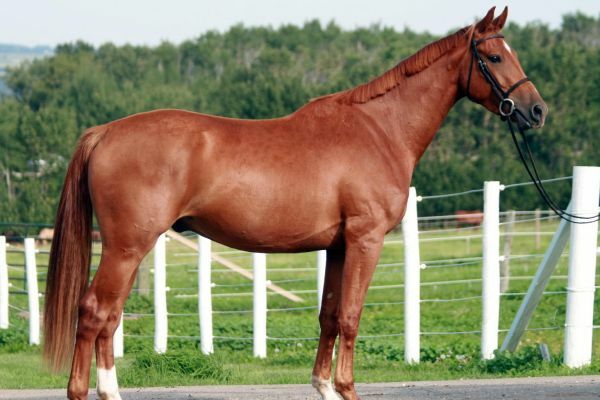 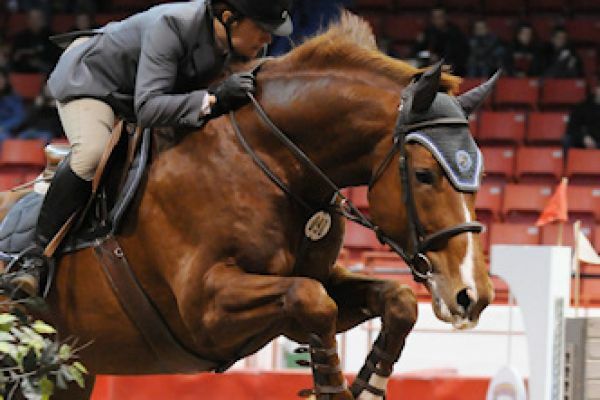 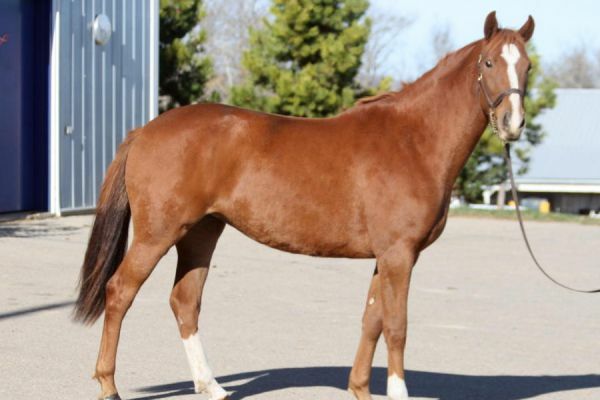 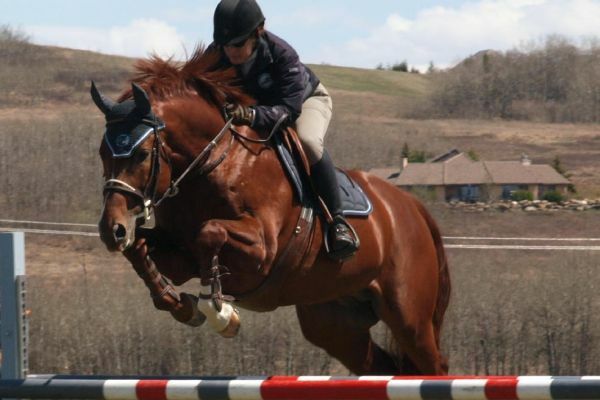 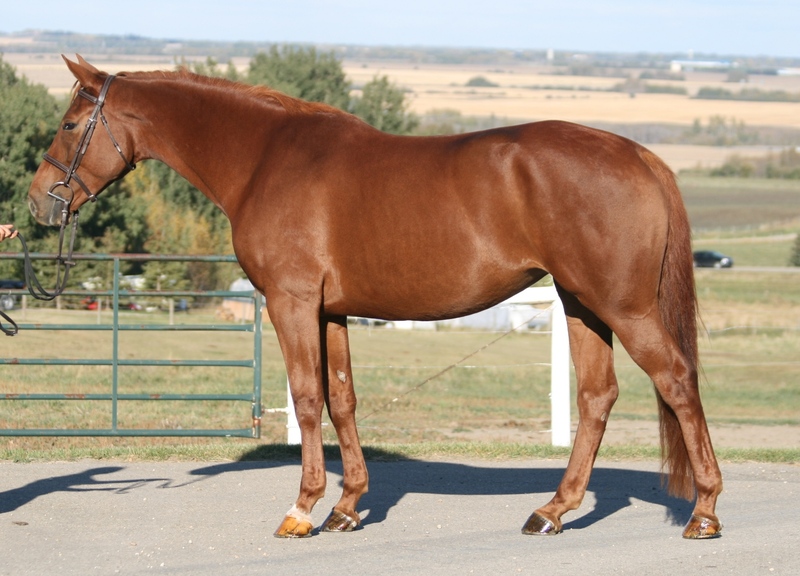 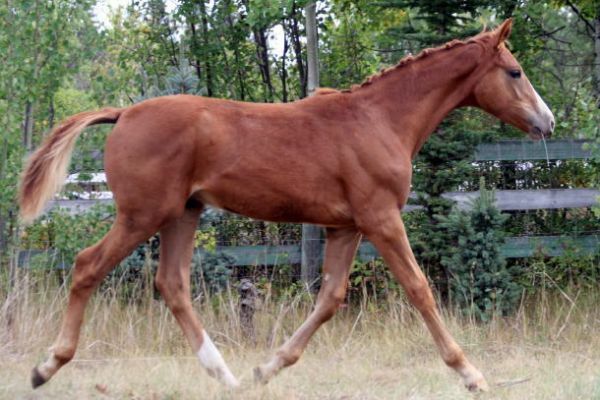 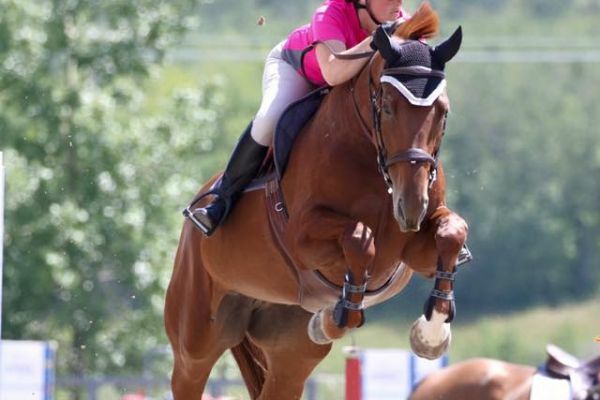 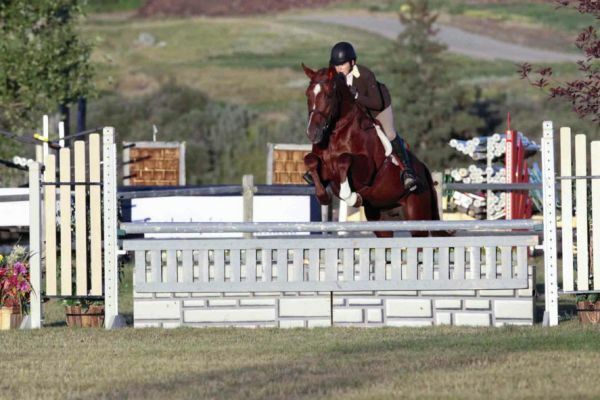 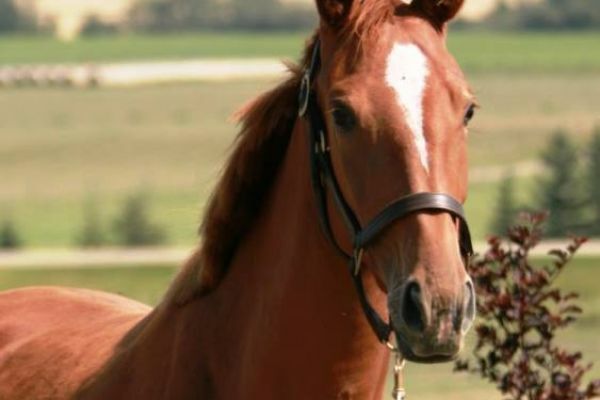 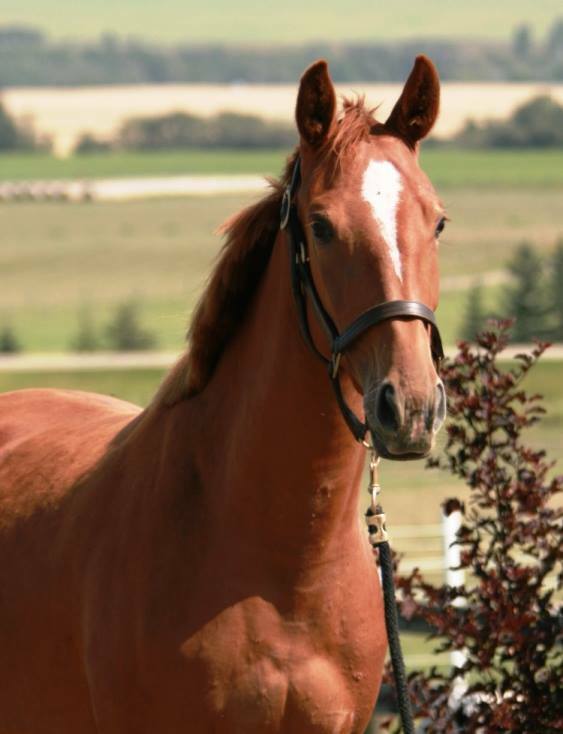 He started his career as the 4 year old material Champion at the Alberta Provincial Dressage show and since then has been campaigned as both a jumper and hunter. 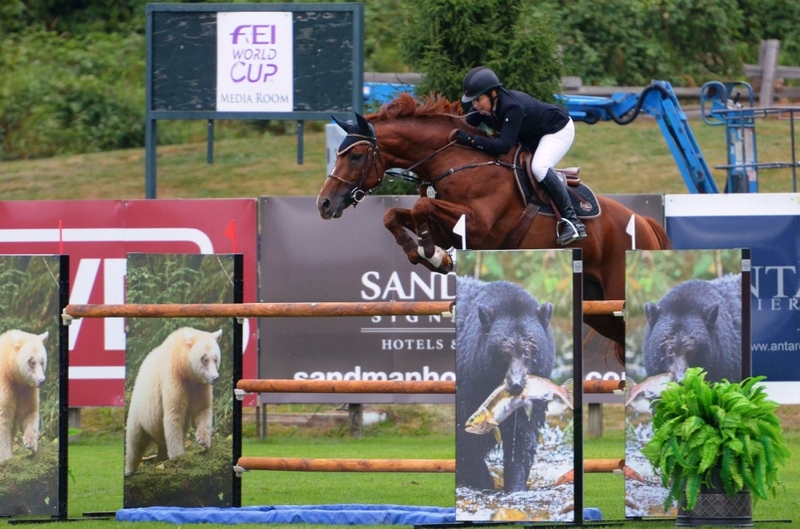 Zeno in 2014 has moved up to the Grand Prix 1.45m level and has so far this year done extremely well. 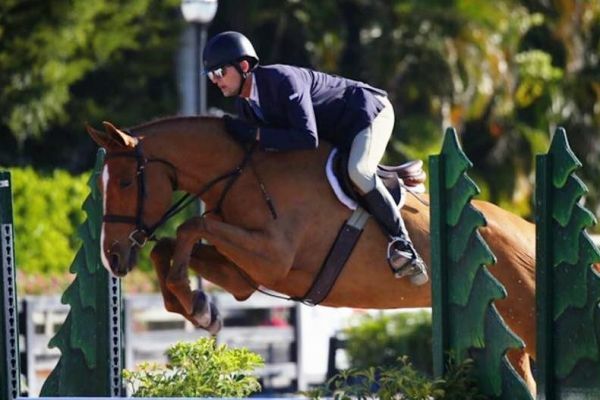 In Tucson he had one rail in his first two GP's and then the next week had two clear rounds ending with a 2nd and 4th in the $25,000 GP and then returned to AB and went indoors at Spruce Meadows and was 2nd in the GP! 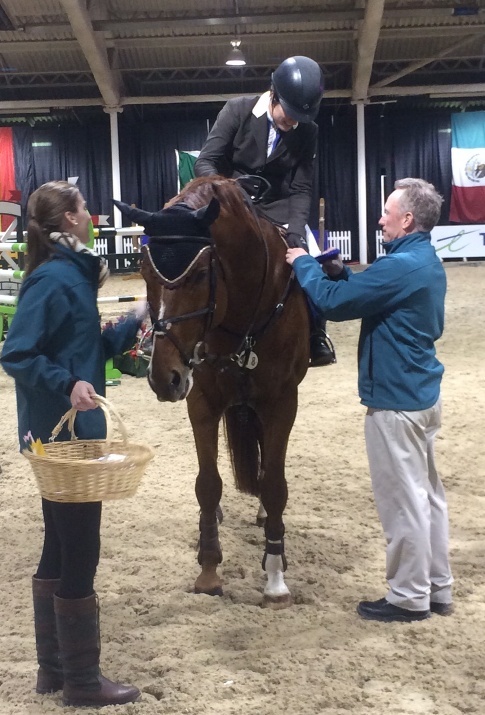 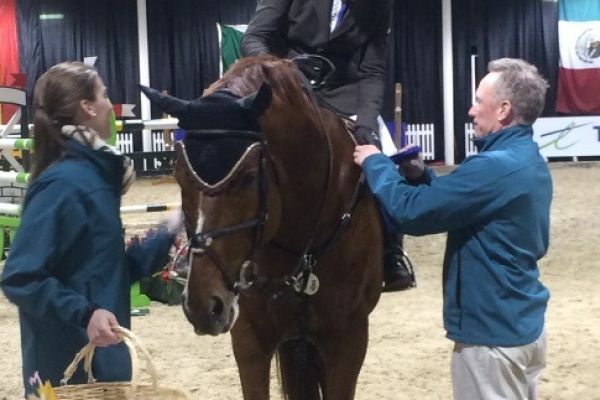 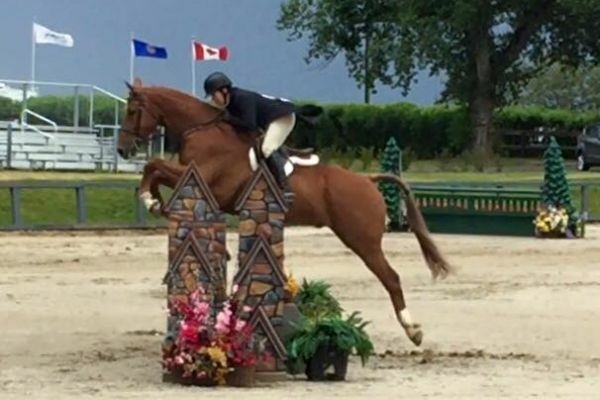 After that he went to Brandon MB and competed in four GP's and was in the jump-off in all of them and then finished his week by winning the MTS Grand Prix, quite an accomplishment for a horse just moving into the GP level. 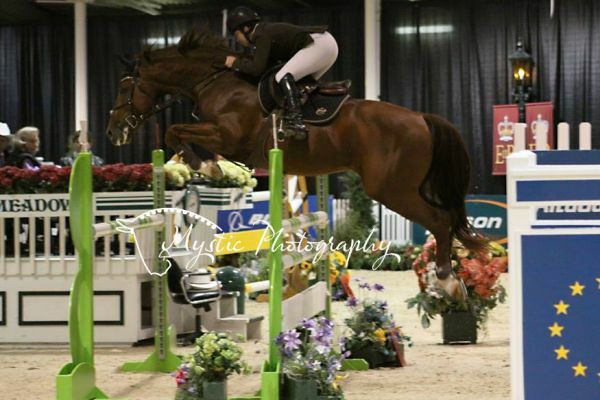 He then went down to Omaha NB and competed in the National level GP and was 6th in the speed class and 4th in the GP. 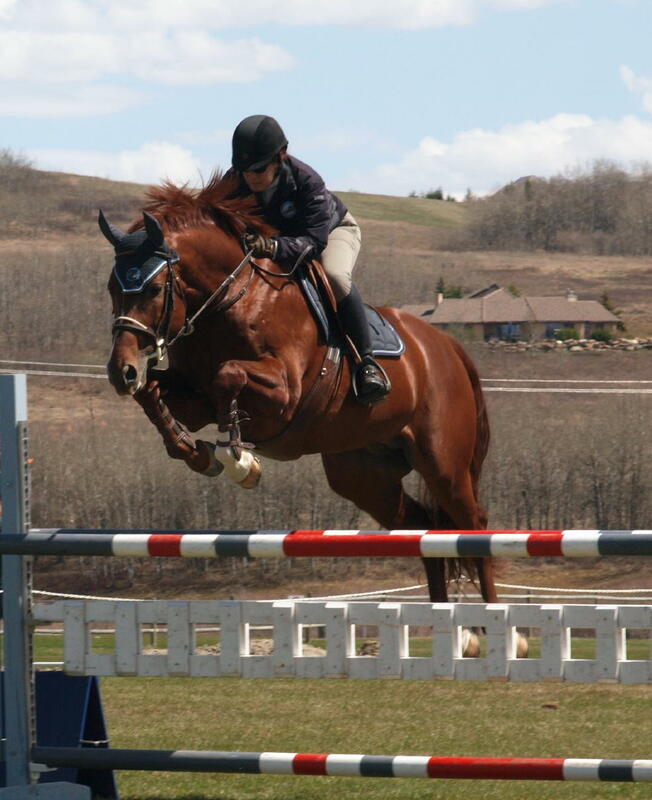 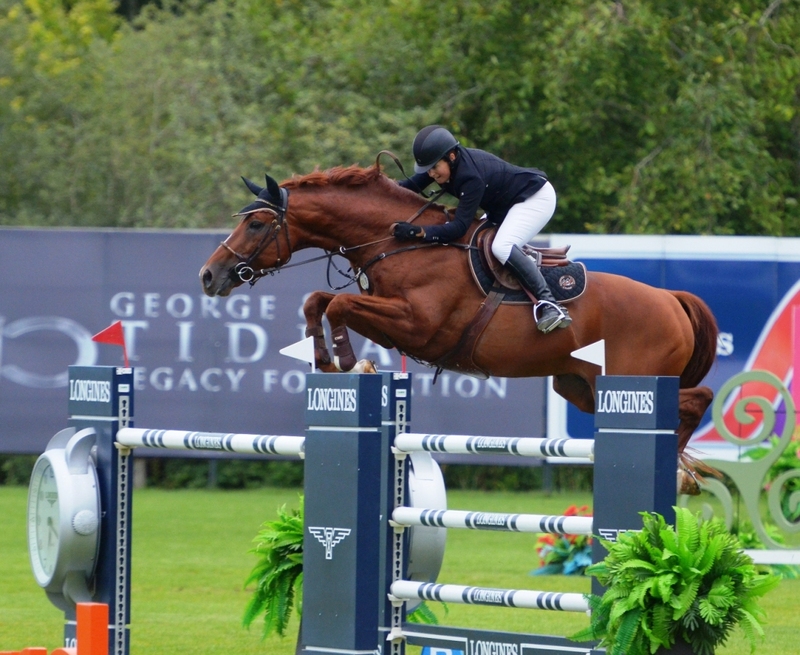 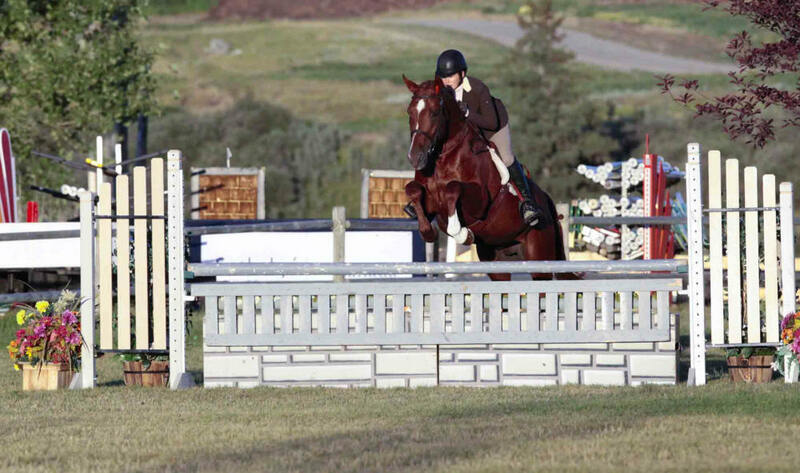 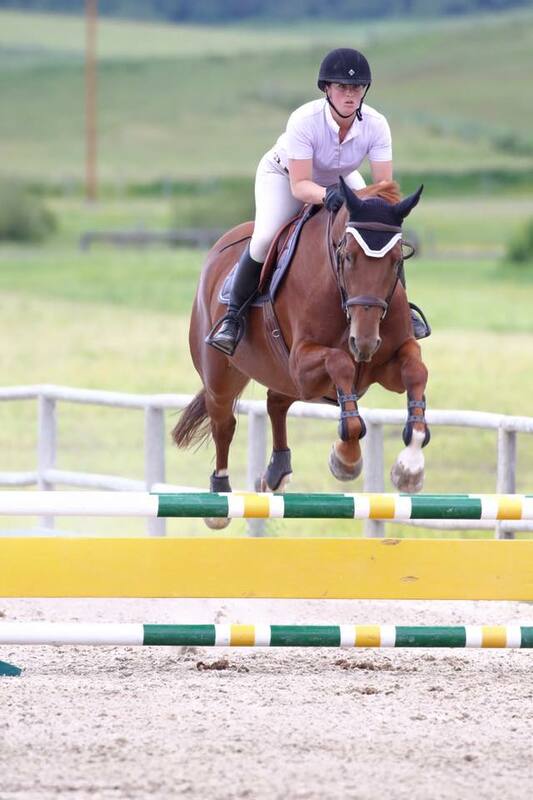 In May we hauled down to Spruce Meadows for the Sunday GP day and Zeno had a great round with just one down, this was his first time outdoors at Spruce! 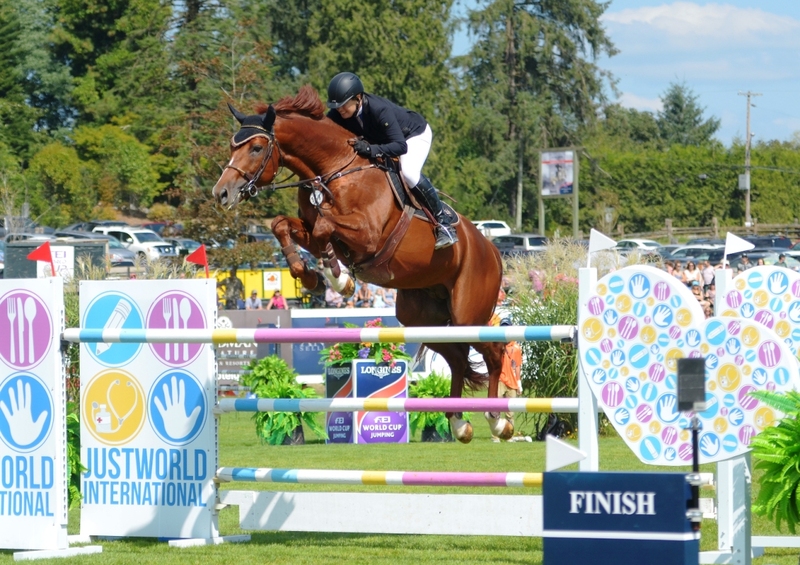 After that he competed at Caledonia where he won the Open Welcome and then was third in the GP with the fastest jump off time. 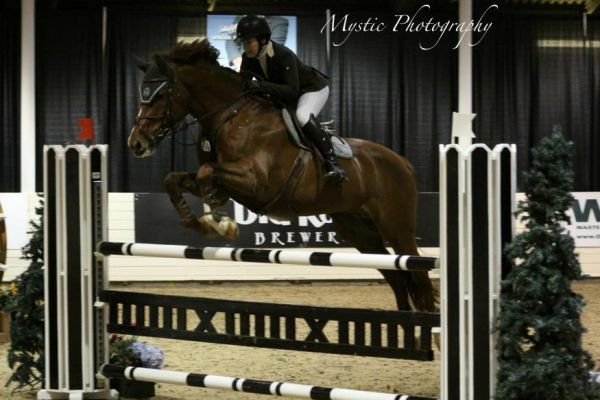 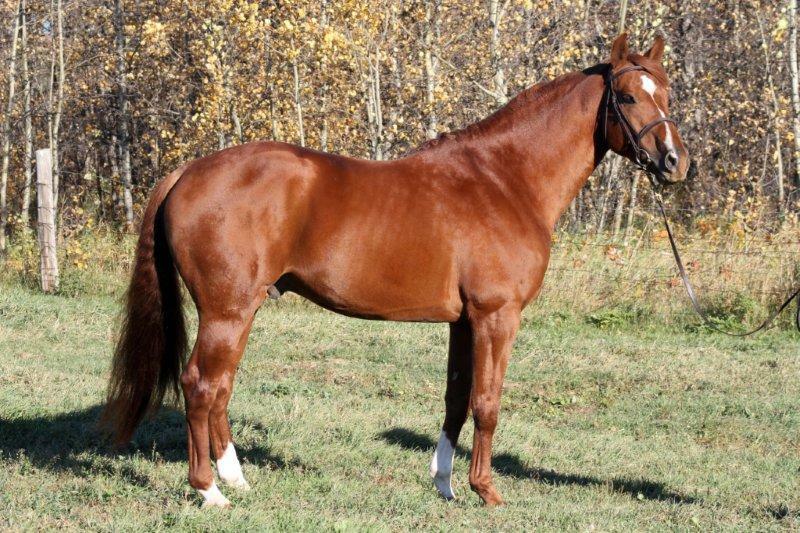 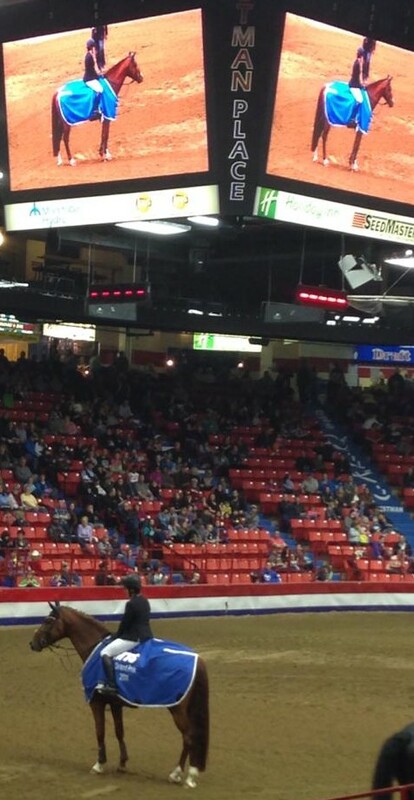 The following week we where up at the Edmonton Classic where he finished 7th in the Atco Cup and then in a Thunderstorm on the Sunday stepped into the Hunter ring for a second place in the Derby! 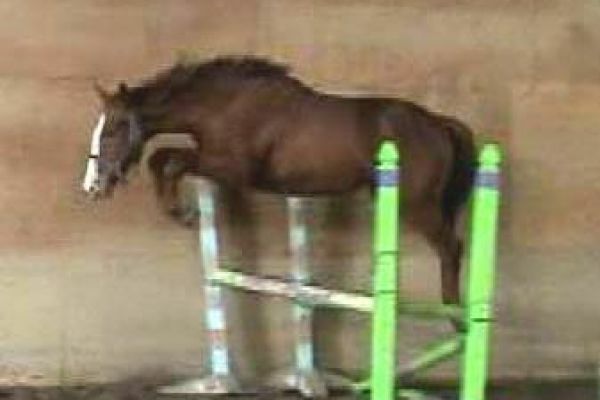 What a versatile horse. 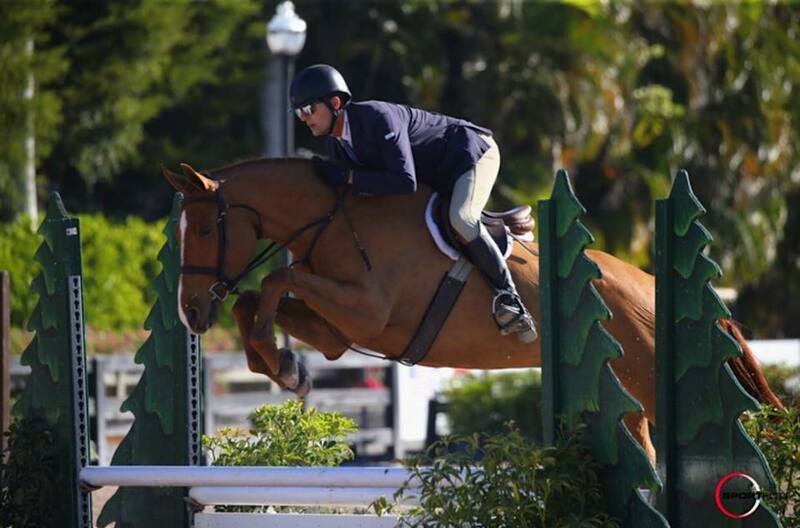 Zeno finished his outdoor season stepping into the FEI division at RMSJ and each class he gained confidence and just continued to get better ending the two weeks with a 9th place in the $100,000 GP! 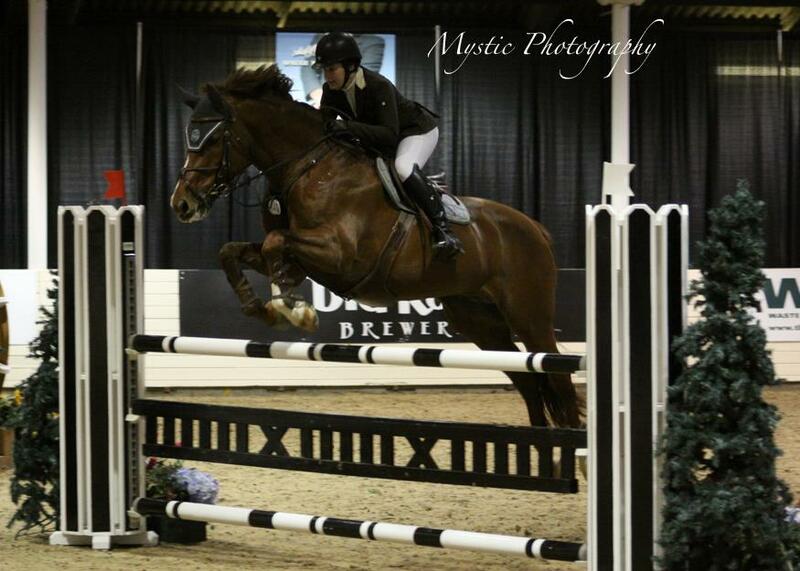 He has qualified in 13th position for the Royal West after only 4 classes. 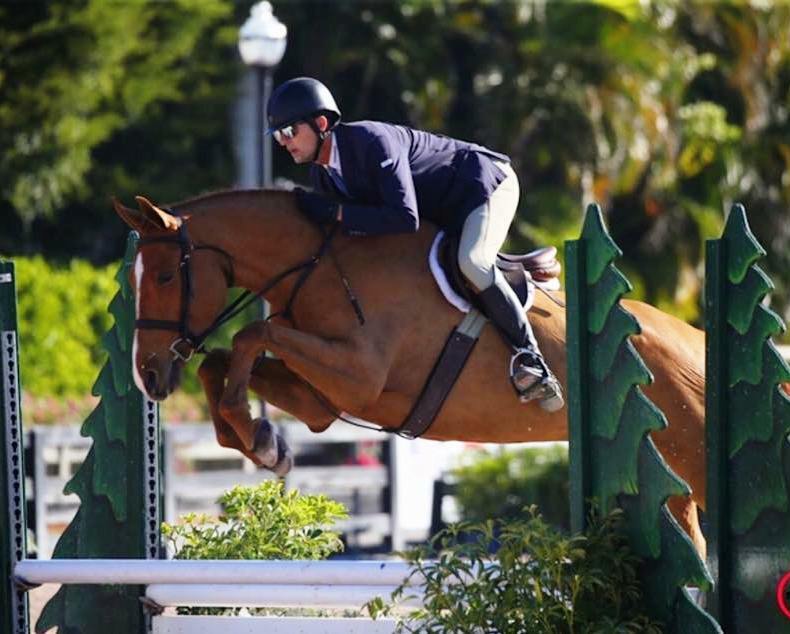 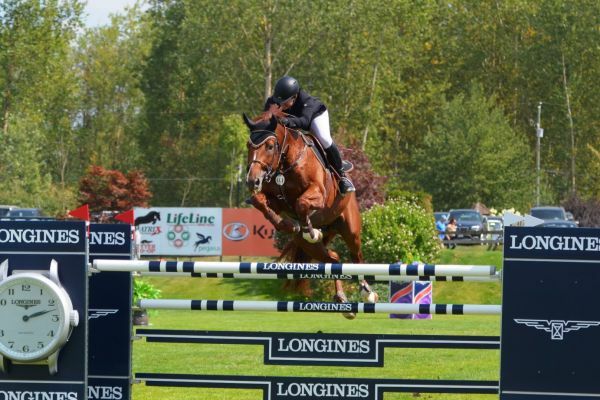 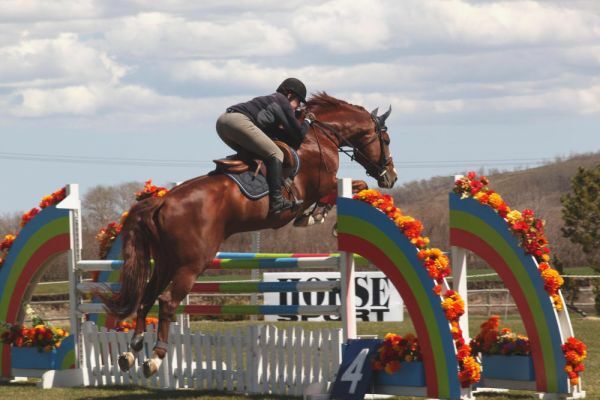 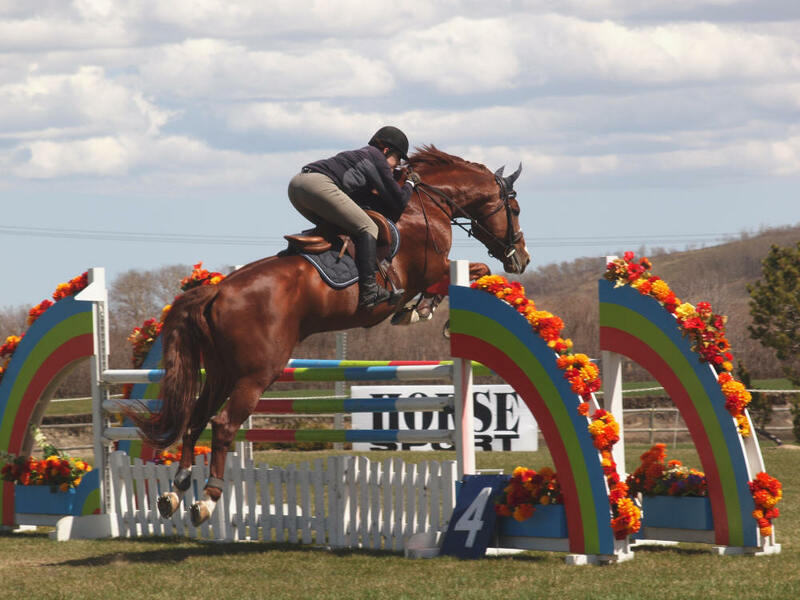 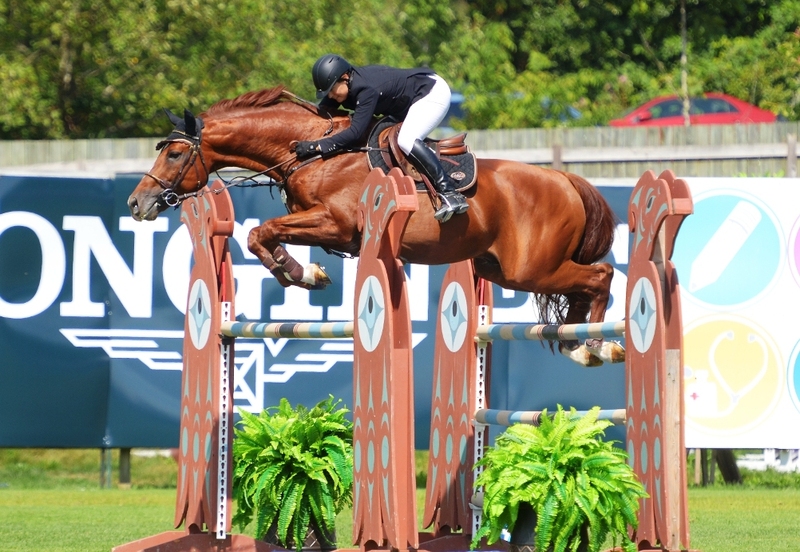 Zeno in 2013 did both the hunter Derby’s and Jumpers up to 1.35m where he was rewarded for his big scope and easy, correct jump placing in the top 5 many times in the Open hunter derby’s. 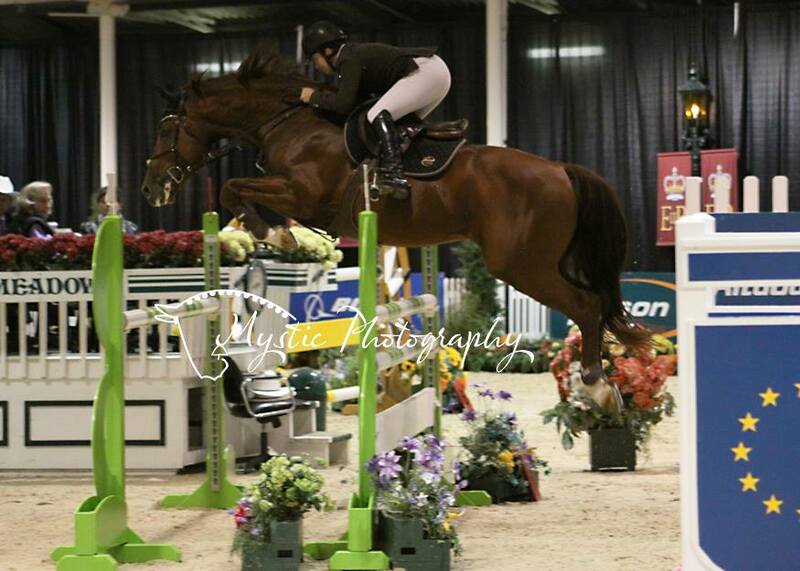 He was just as successful in the jumper ring in 2013 starting off indoors at Spruce by being top 5 both weeks in the 1.20m mini Prix and then he went outdoors and at Caledonia he started to move up beginning the week in the 1.20 and ending it in the 1.35m. 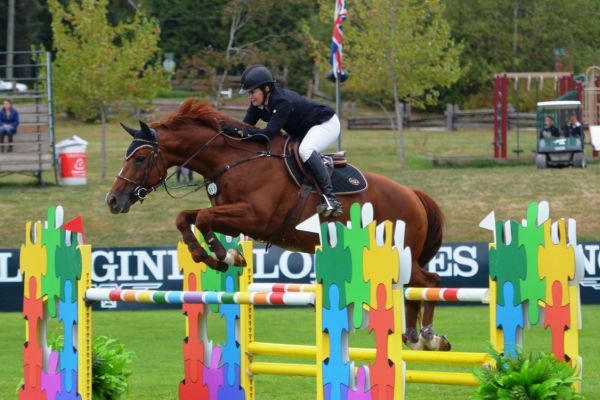 He was Champion of the 1.25m mini prix at Rivervalley as well as being 2nd and 4th in the other two 1.25m classes, then at Amberlea he was Champion in the 1.25m Prix. 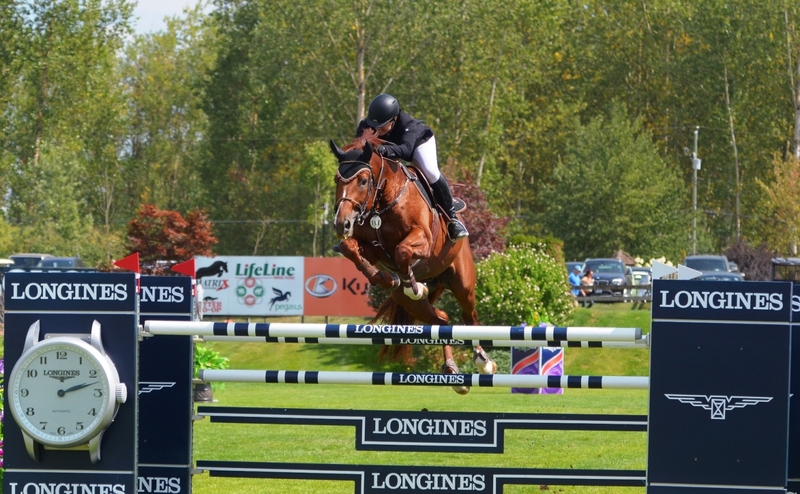 He then went to RMSJ where he was clear in the Open Welcome, he had one down in the 1.35m and then placed 4th with a score of 99 in the Hunter Derby then the next day was double clear in the Modified Grand Prix for 3rd. 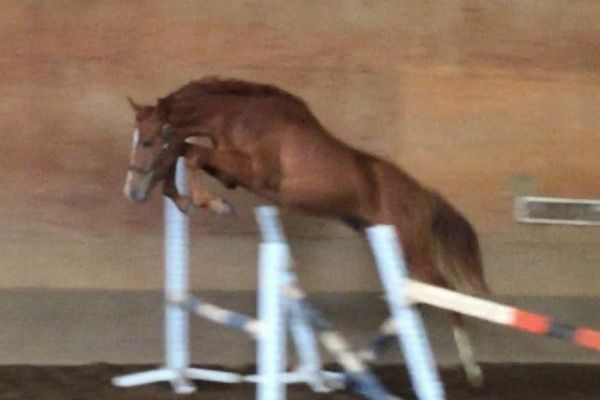 Zeno jumps around even the toughest tracks like a regular working hunter making it look easy. 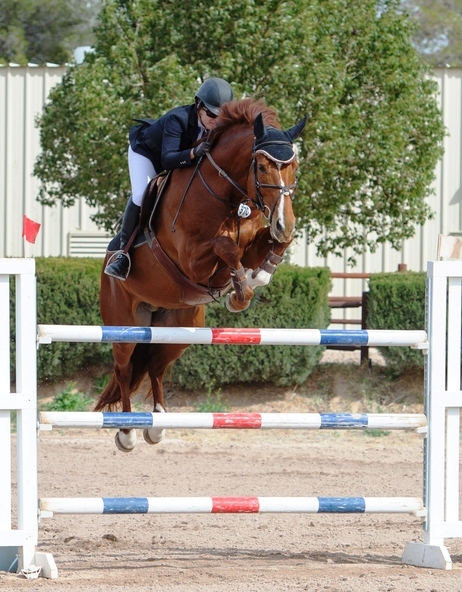 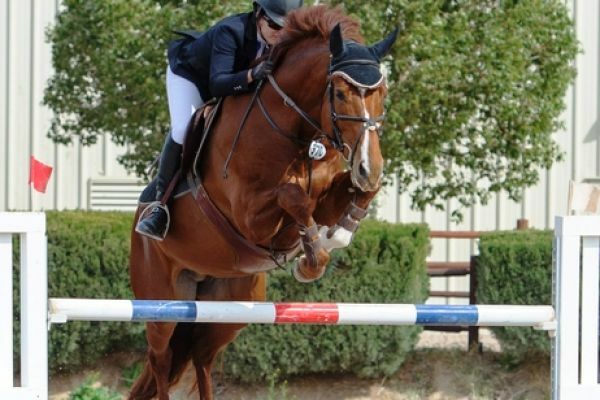 Zeno in 2012 competed mainly in the hunter ring coming home Champion or Reserve seven consecutive times both in AB and on the extremely competitive California circuit, he was also ASJA Combined Working hunter year end Champion. 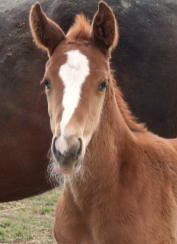 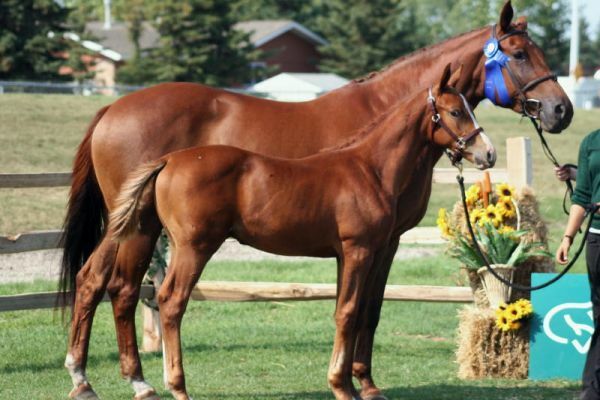 Zeno’s offspring are still young but are already starting to show a lot of promise in the show ring. 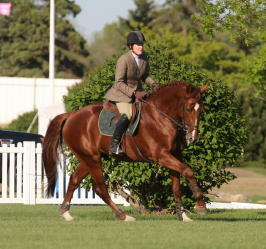 One of his oldest Delila, who showed in two ‘A’ rated shows, came home reserve champion both times. 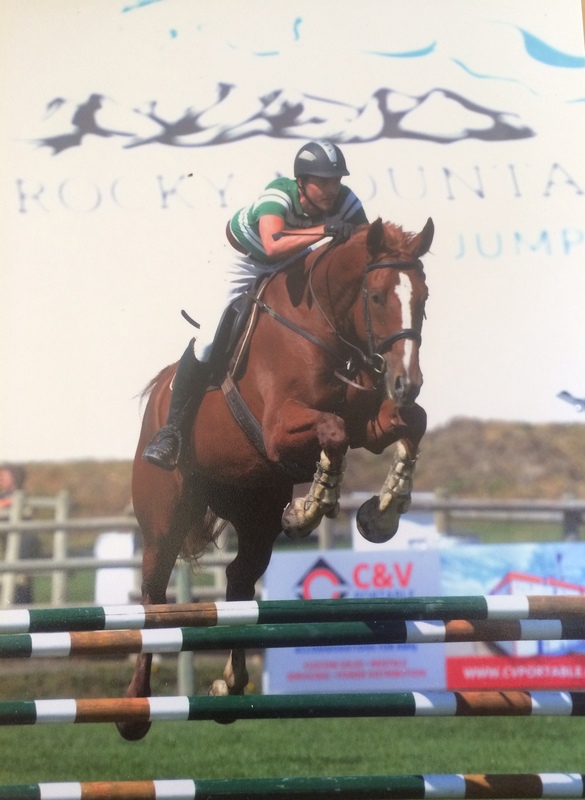 Another three year old was reserve champion at the free jumping competition and several have just started into the dressage ring with great success. 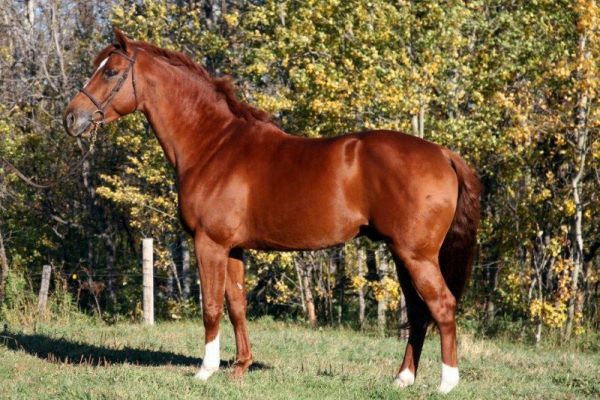 His offspring have great minds, big reaching trots with a lot of elasticity, his incredible canter and jump in wonderful form. 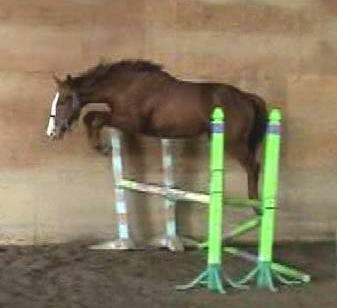 Conformationally he puts good straight legs under them, strengthens the loin connection, raises the shoulder angle so that they can jump with their knees up around their eyeballs and puts a well set on neck. 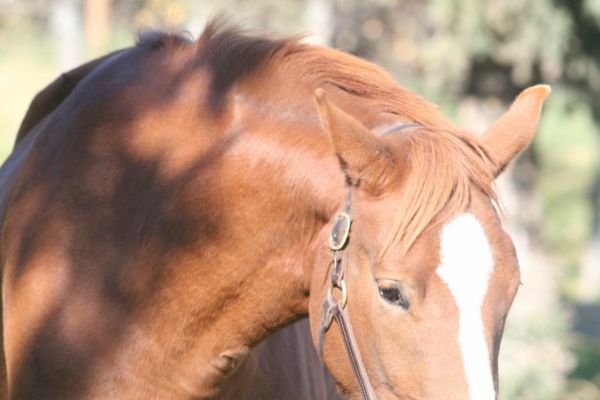 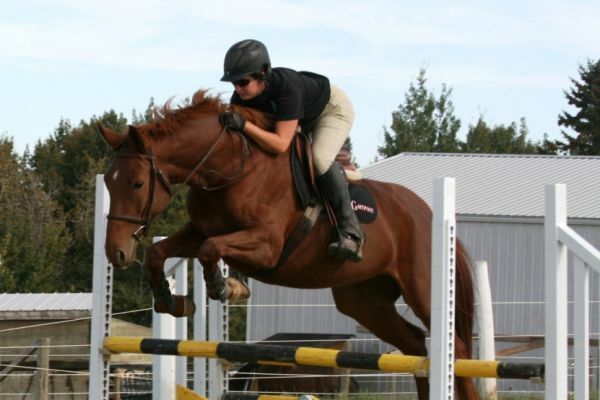 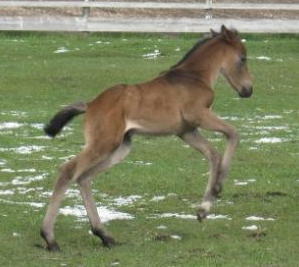 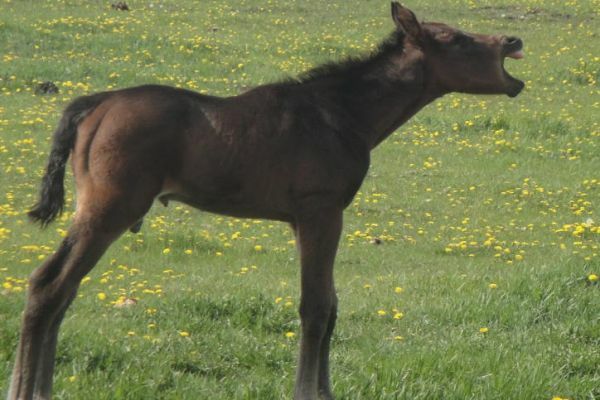 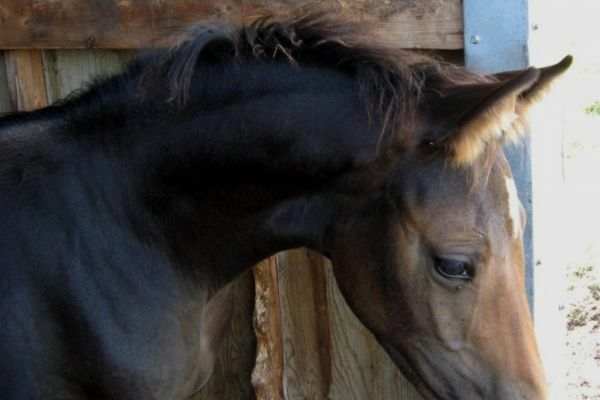 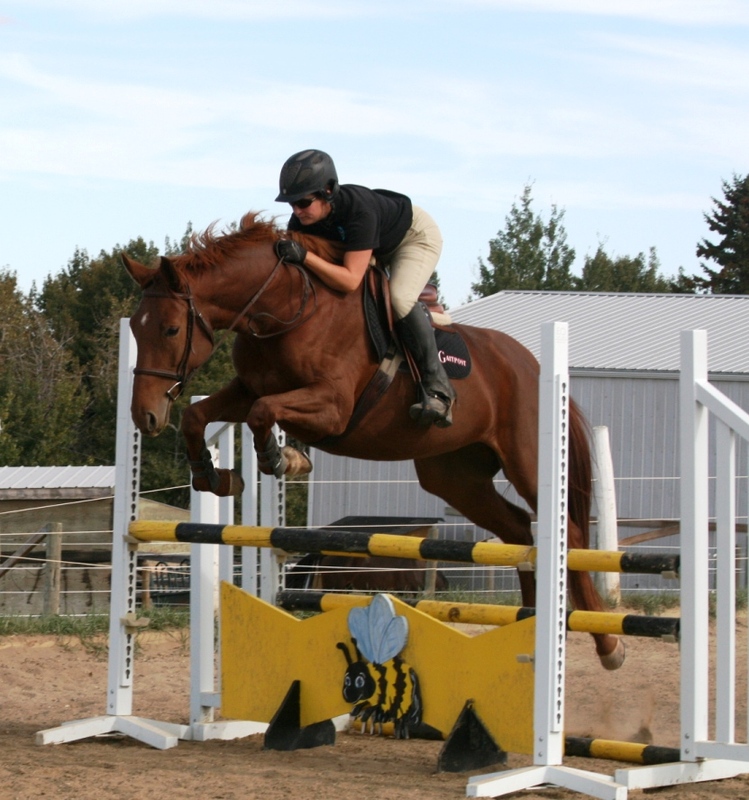 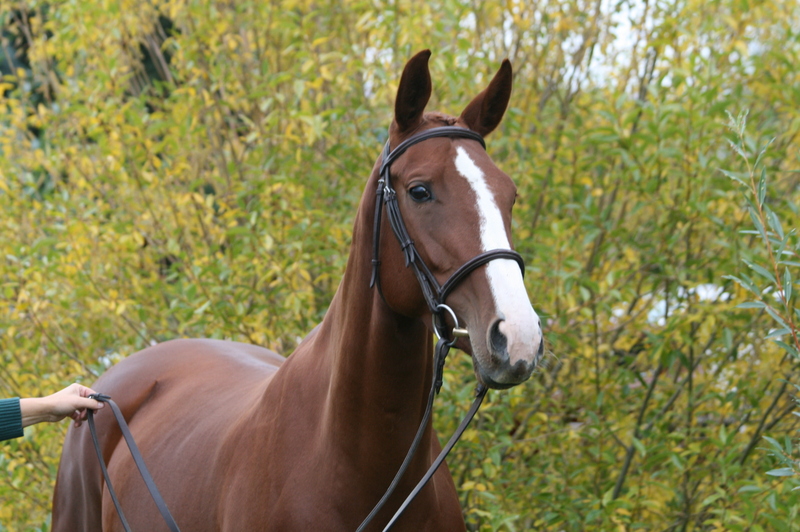 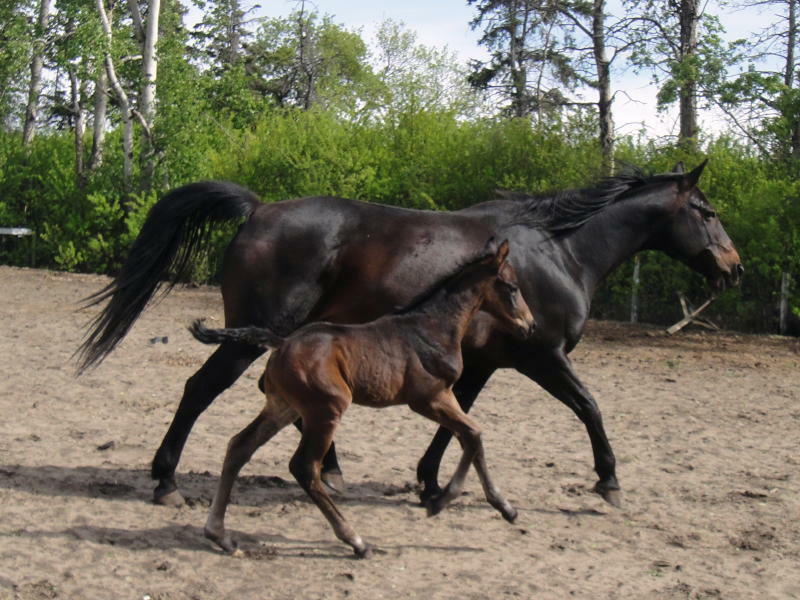 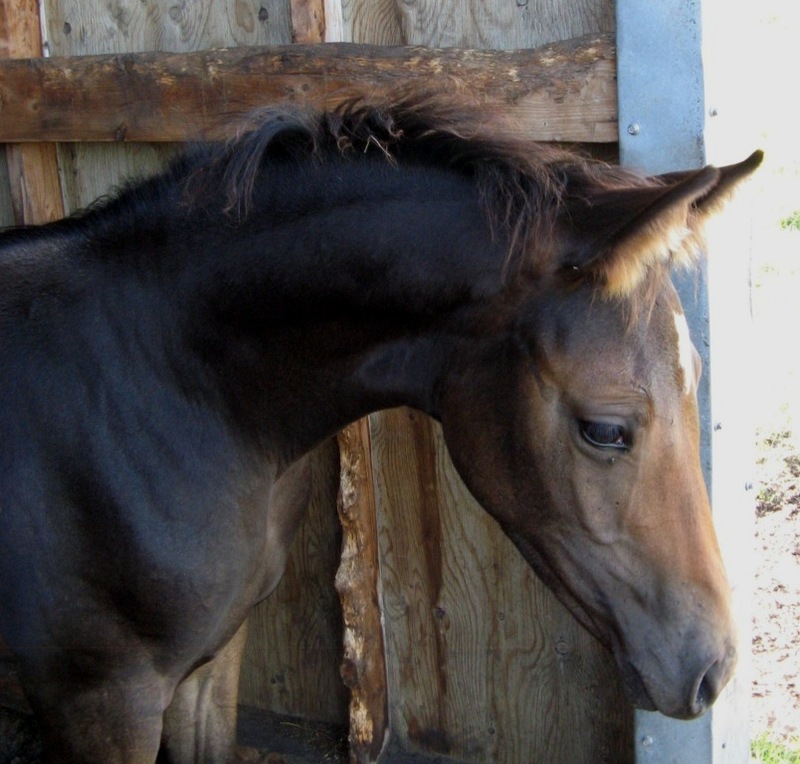 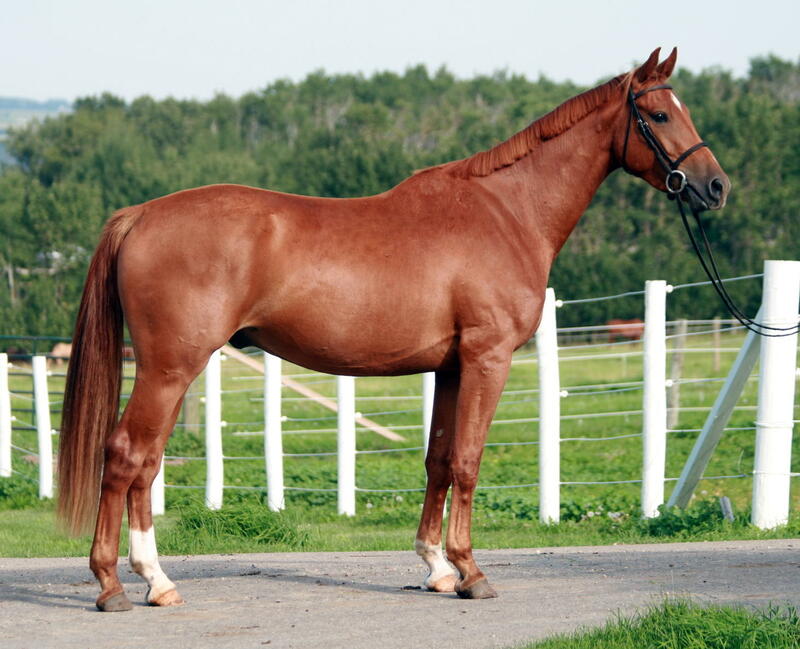 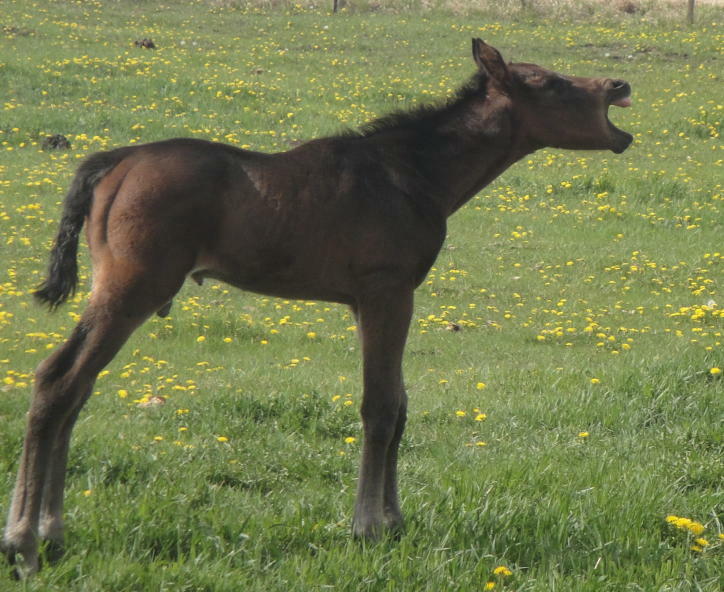 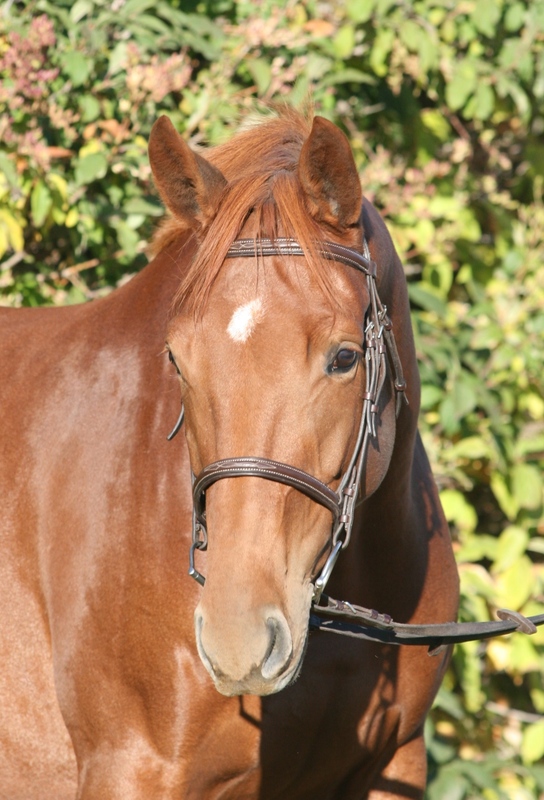 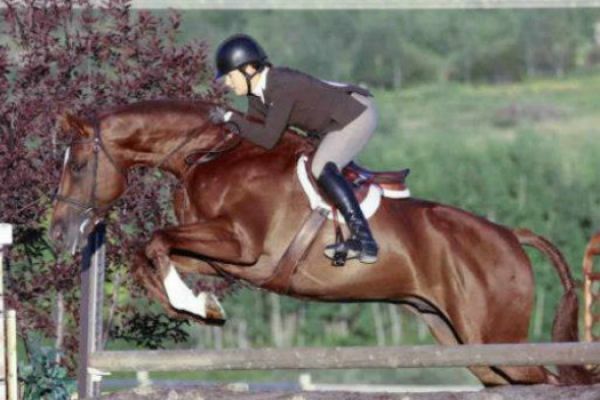 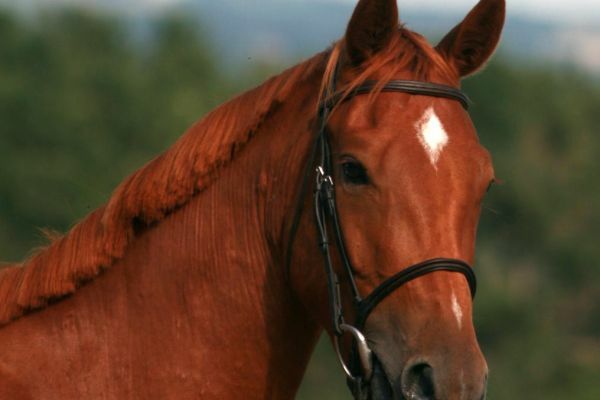 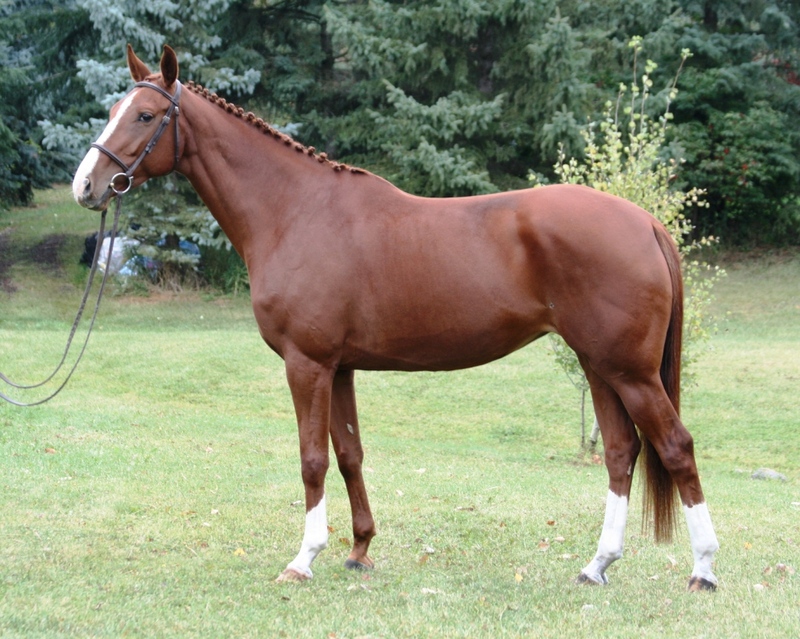 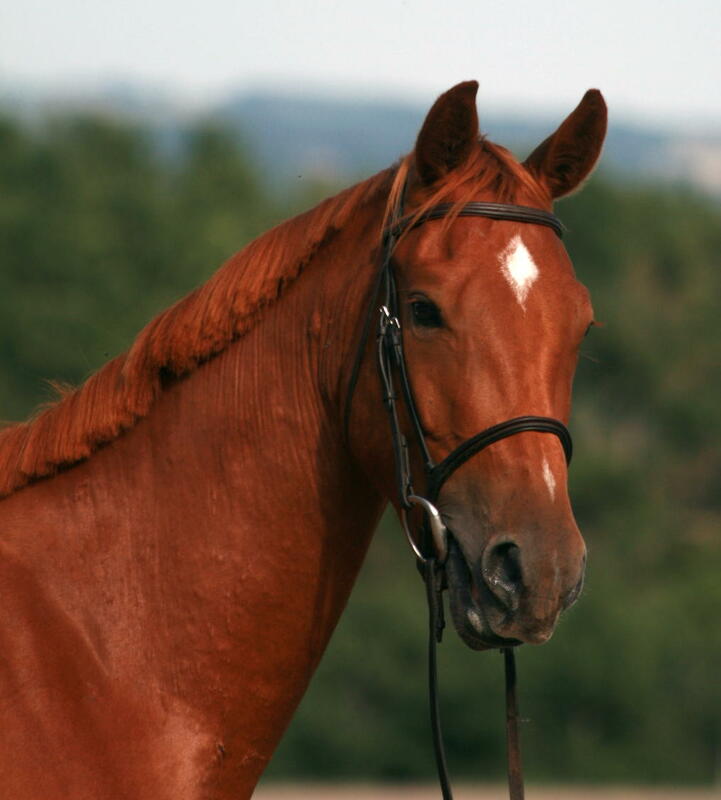 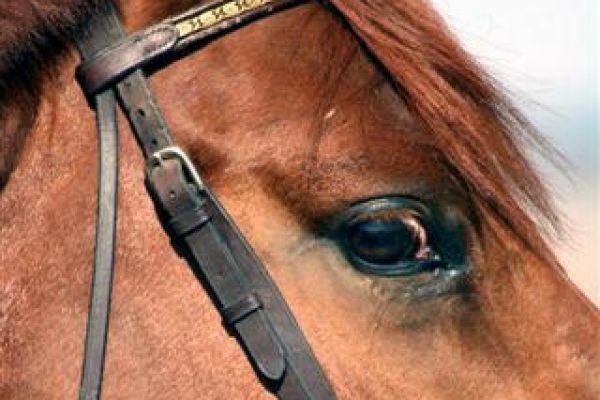 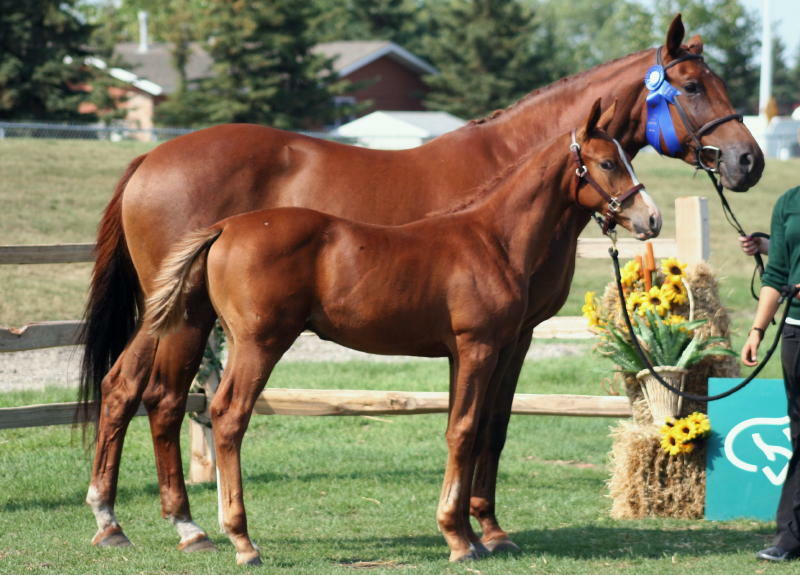 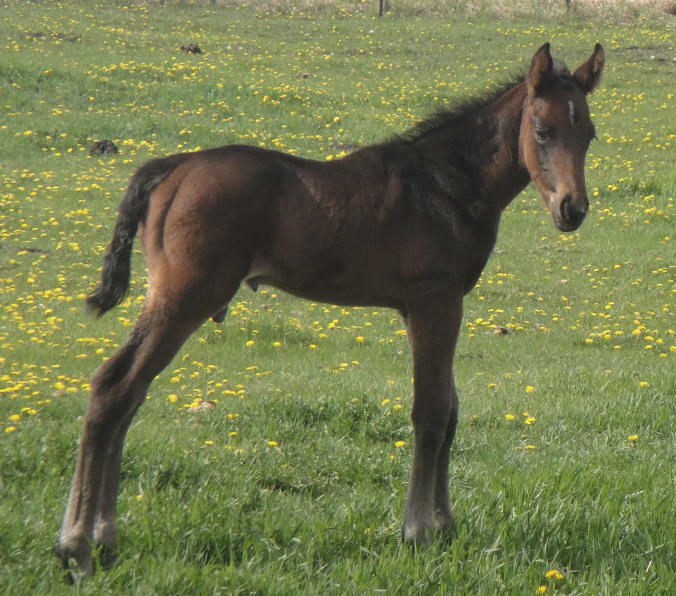 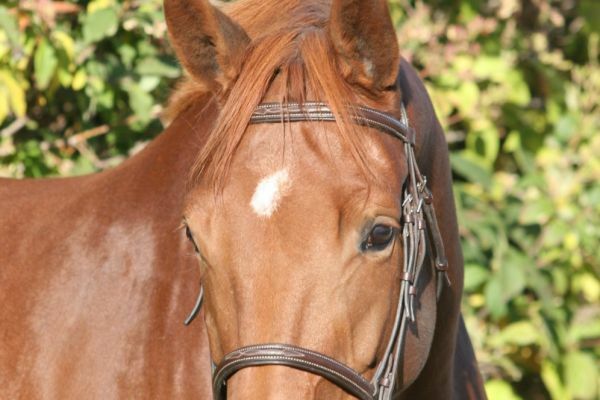 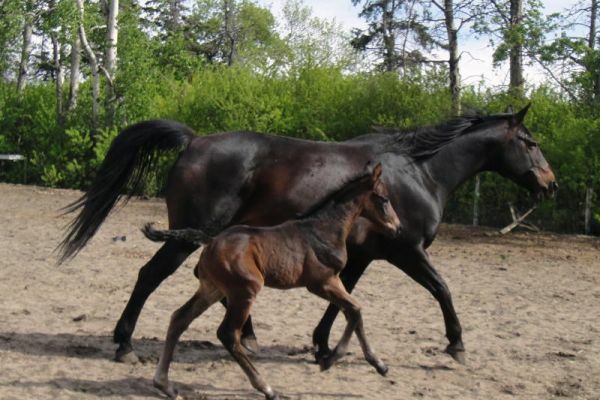 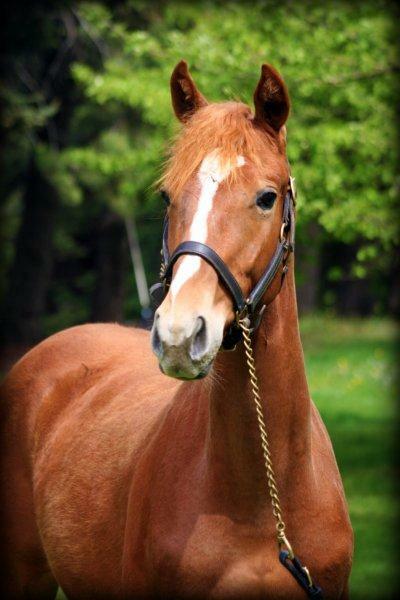 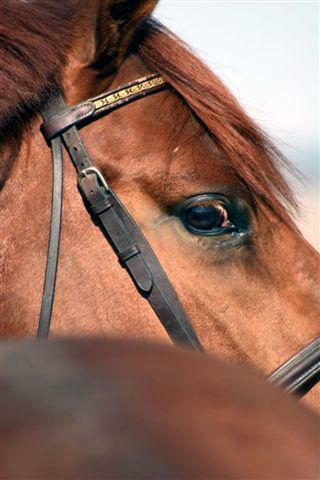 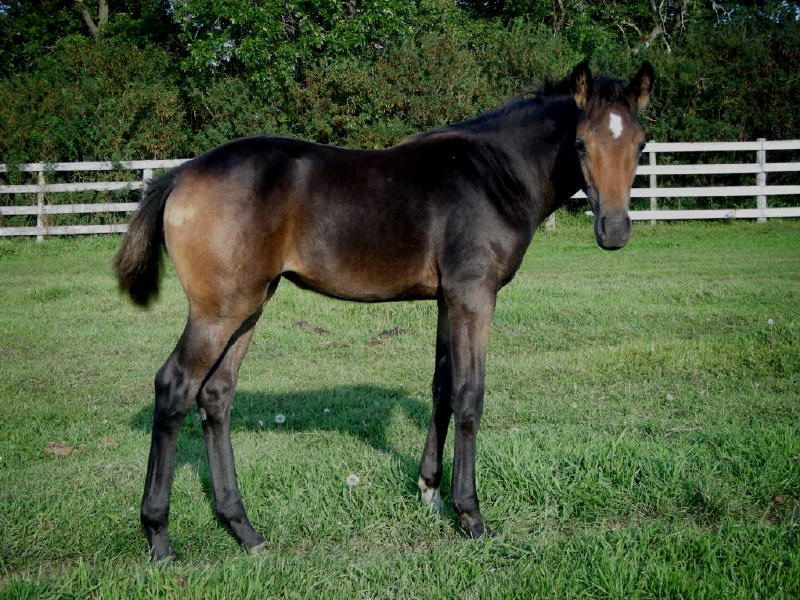 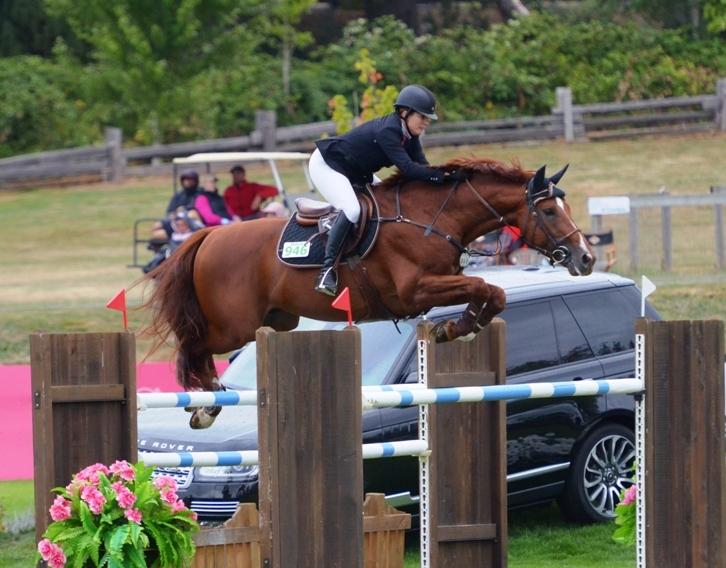 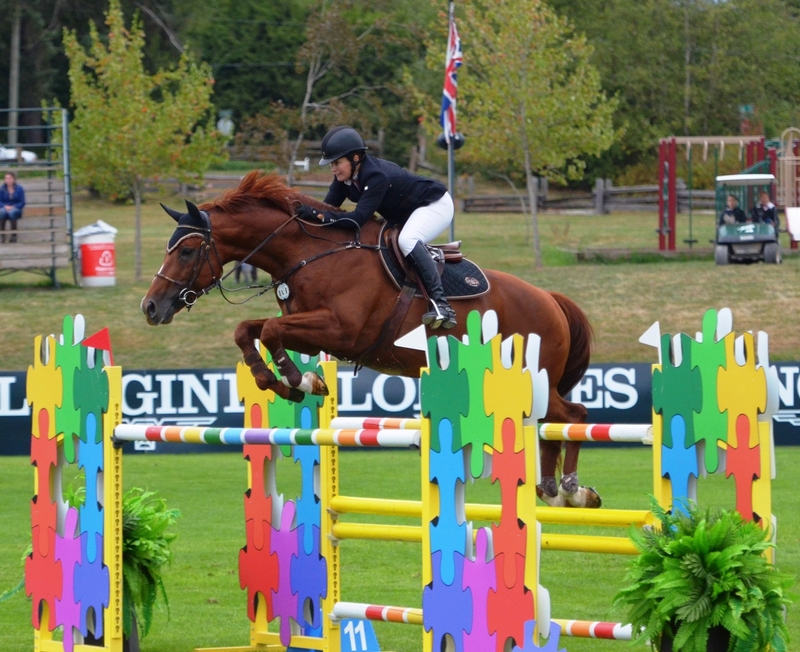 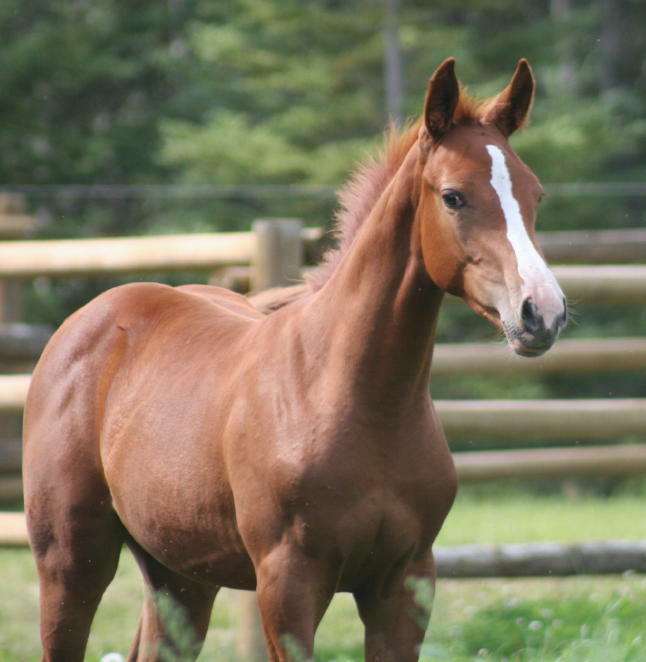 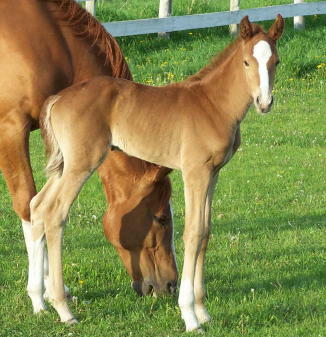 Zeno attended the Canadian Warmblood and Sport Horse inspections in 2007. 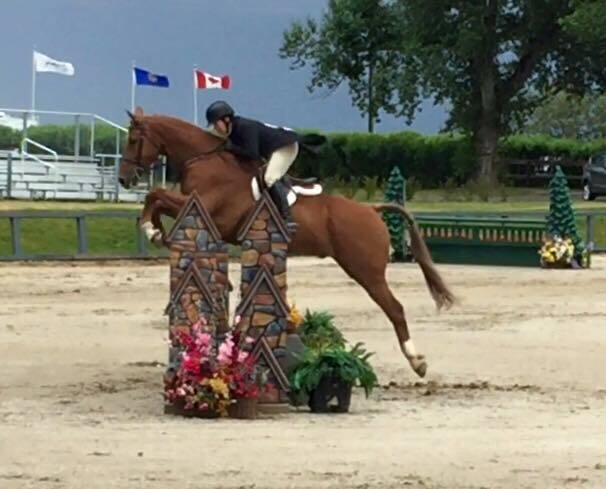 He received a 76.6% from CWB and an 81% from CSH both inspection teams gave him 8's and 9's for his movement and free jumping including a 9 for his gallop and 8.5 for his free jump! 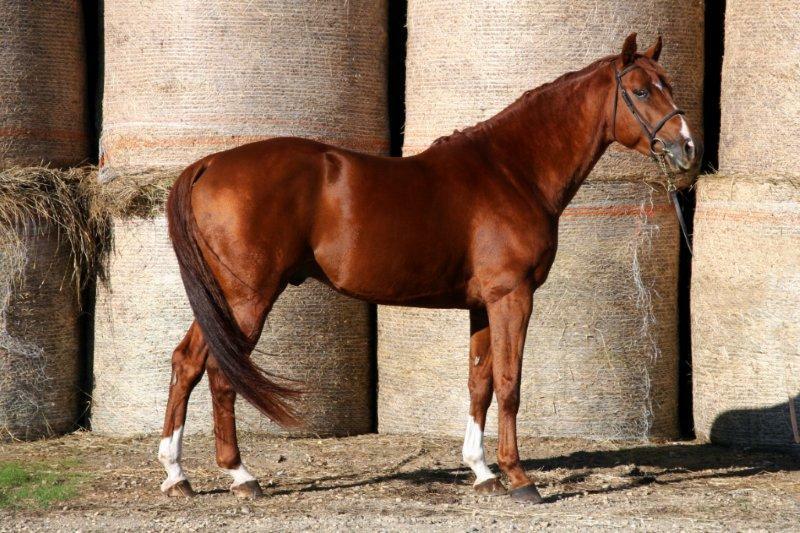 Sire: Quattro B goes back to two of the greatest Selle Francais stallions of all time Galoubet and H Alme Z. 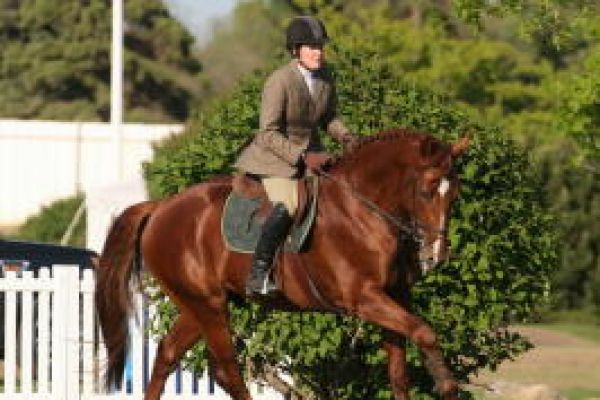 He was successfully competed at the Grand Prix level of Show Jumping and then did upper level Dressage. 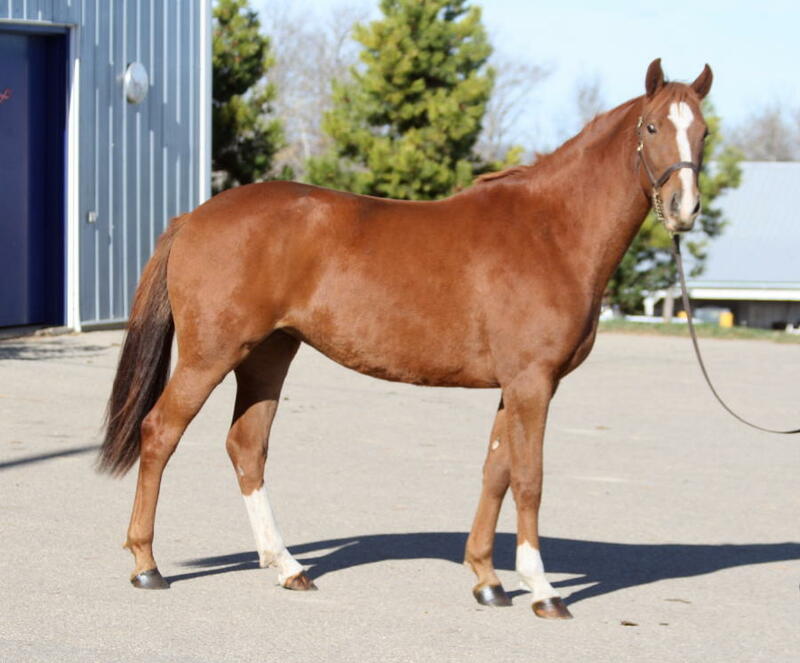 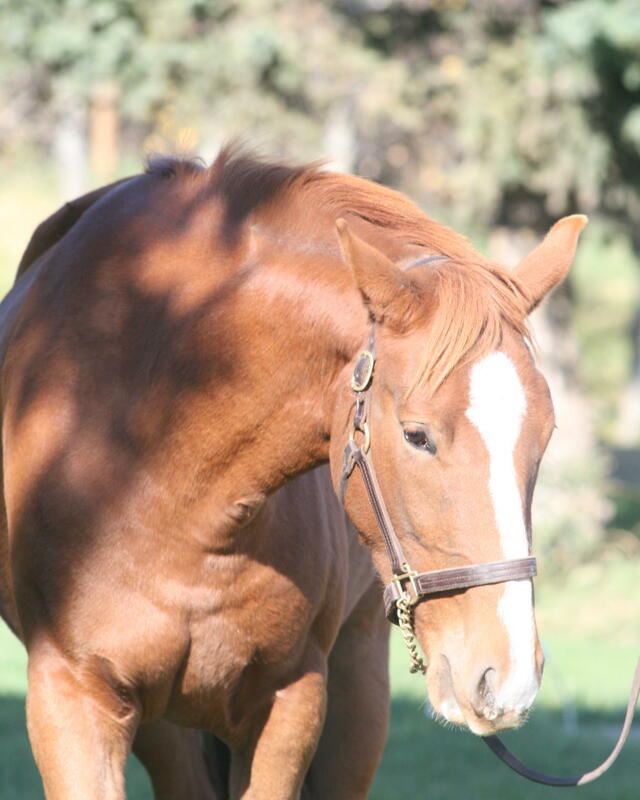 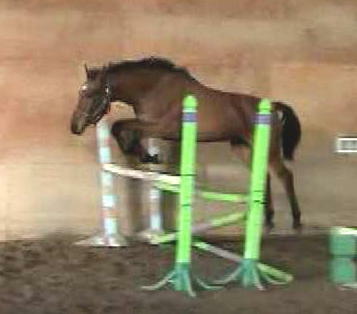 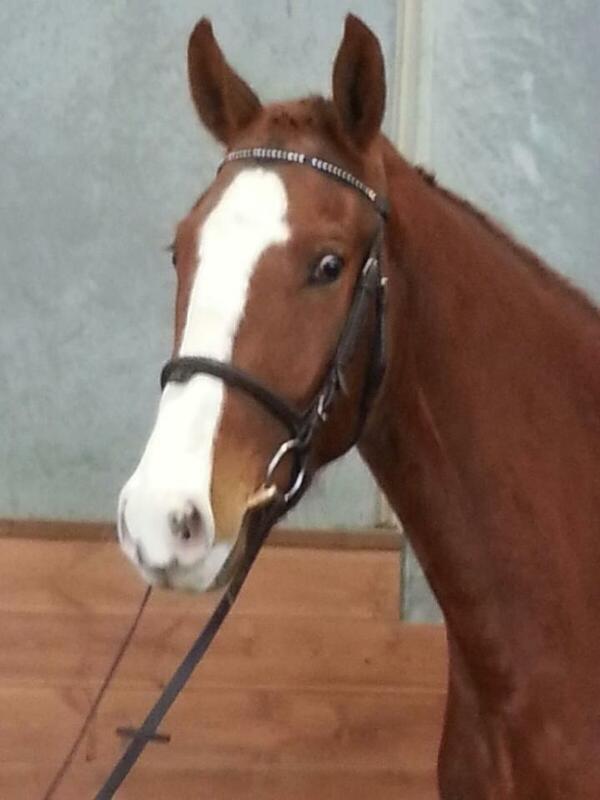 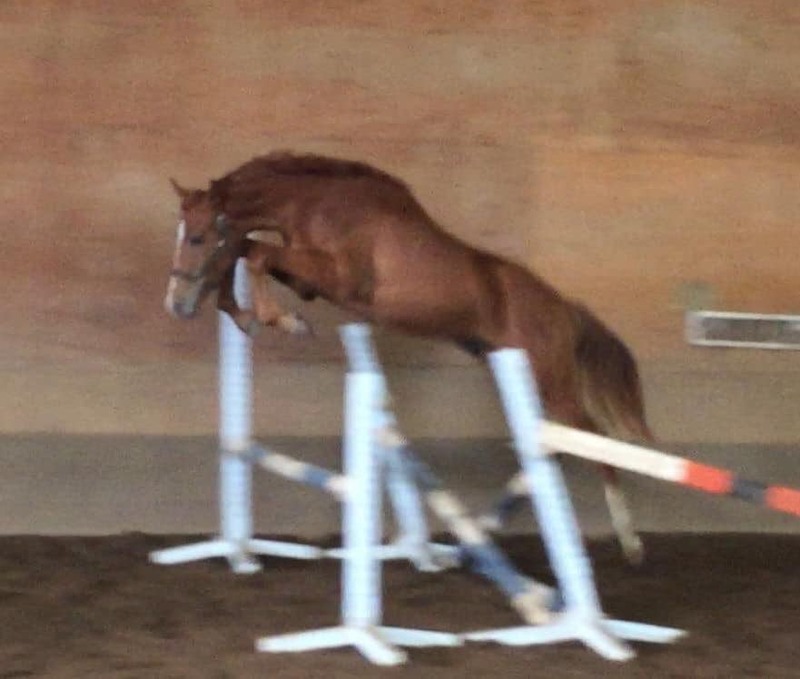 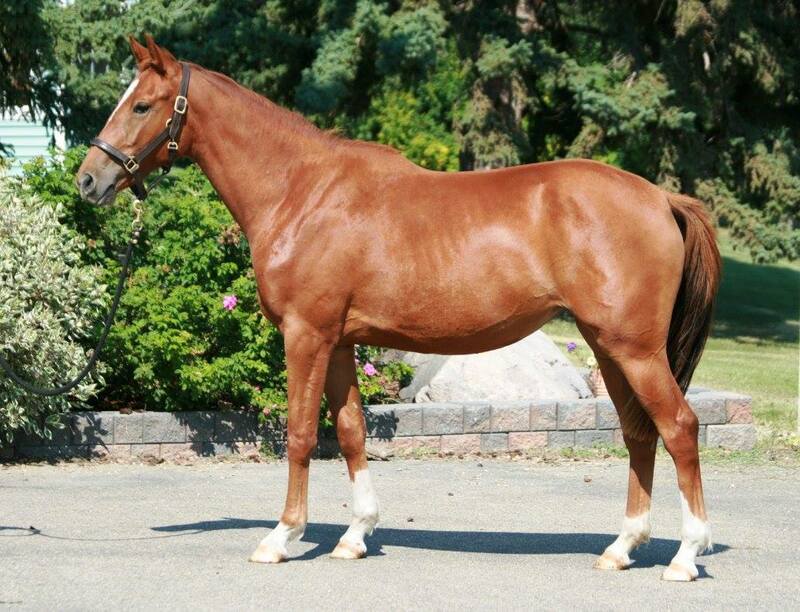 His offspring show his spectacular gaits but they also inherit Quattro's beautiful type and jumping ability. 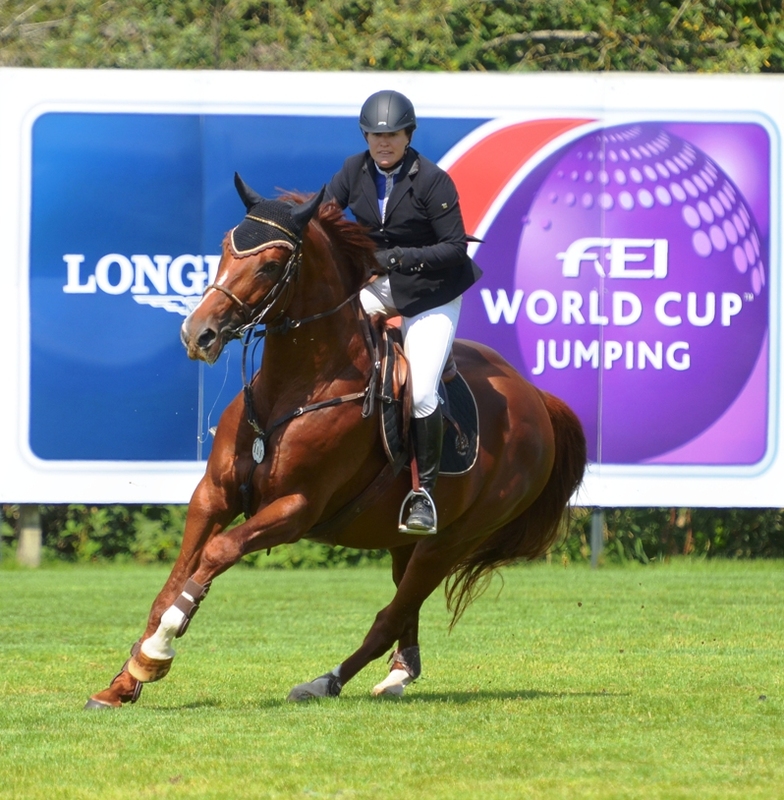 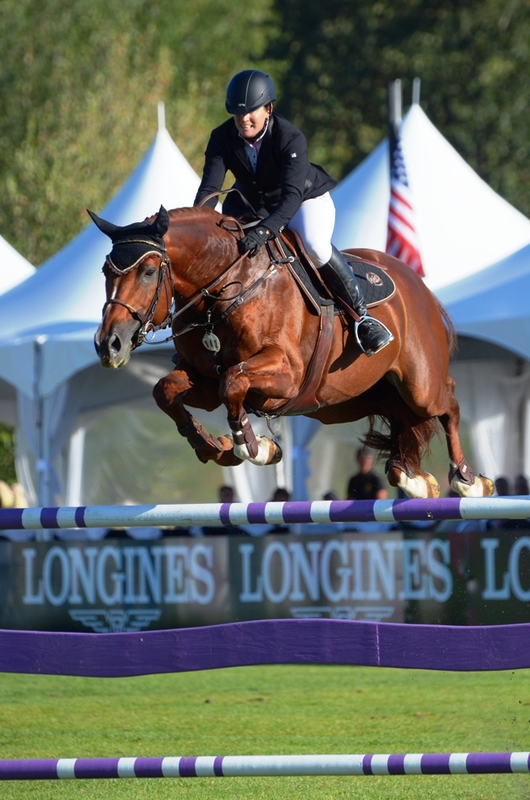 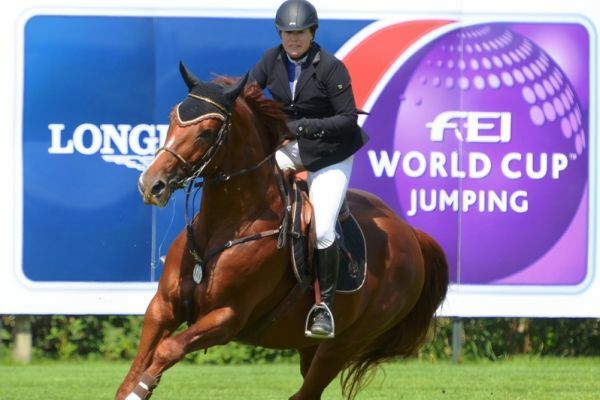 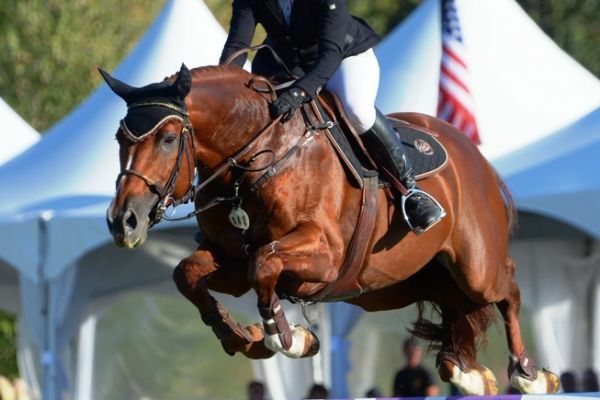 He has offspring successful in both Grand Prix jumping and Dressage including Much Ado, Quantum Tyme and Quicksilber. 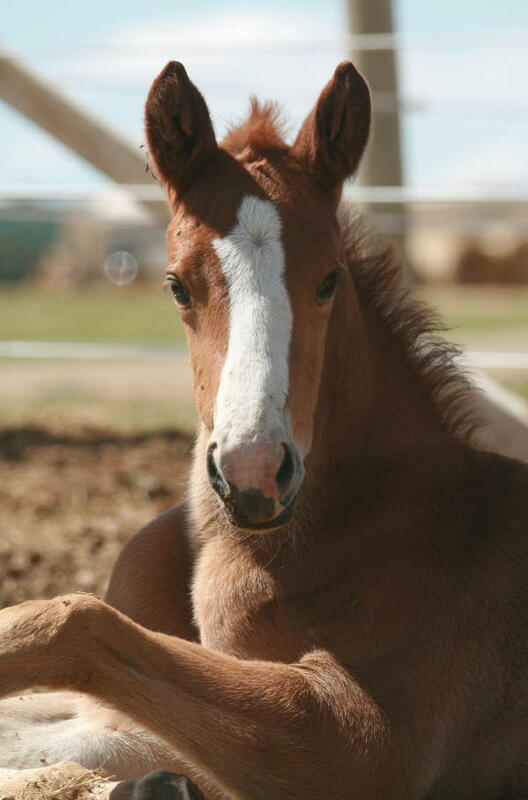 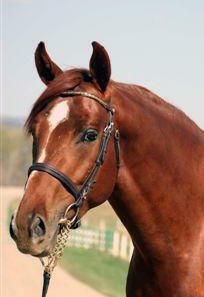 In 2004 Quattro had two offspring selected for the Olympics in Athens: Quando Quando for dressage and Oliver Q for jumping. 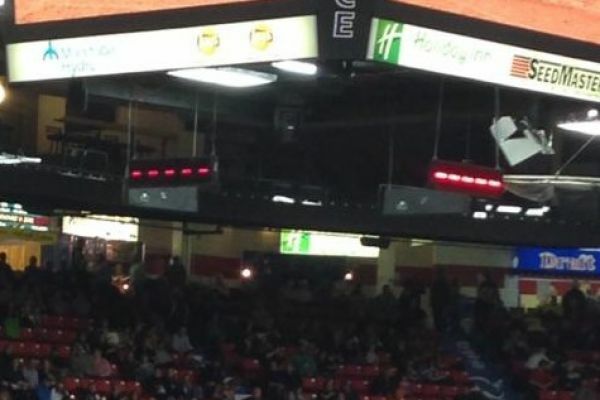 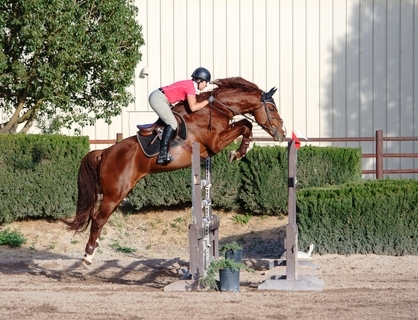 Quattro has proven to be a true all around producer of the highest level. 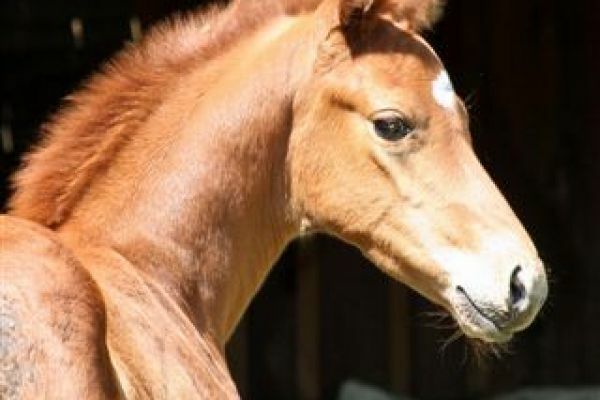 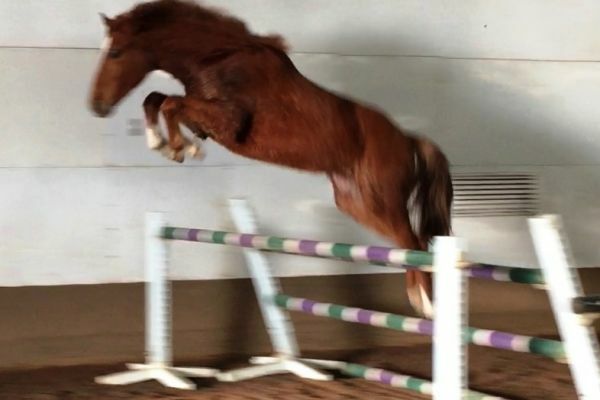 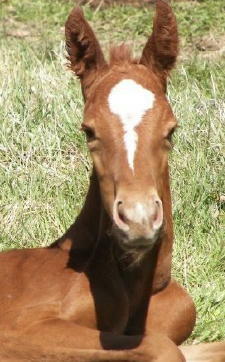 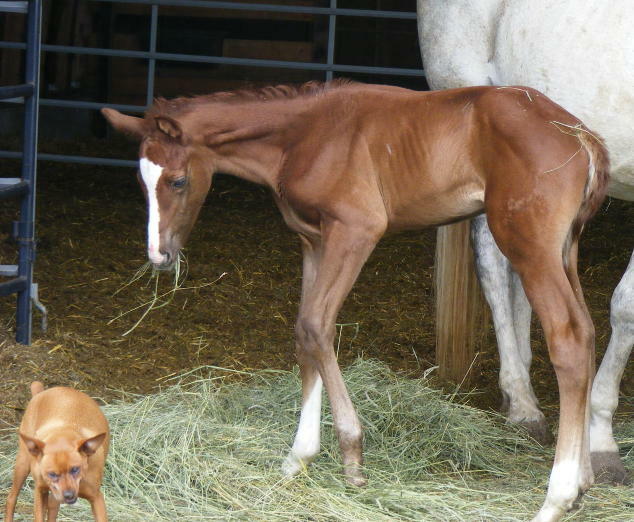 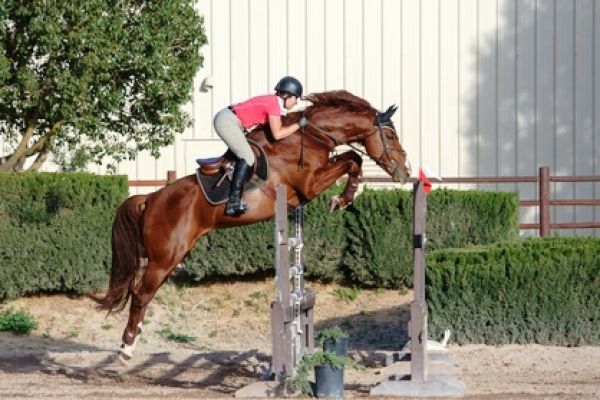 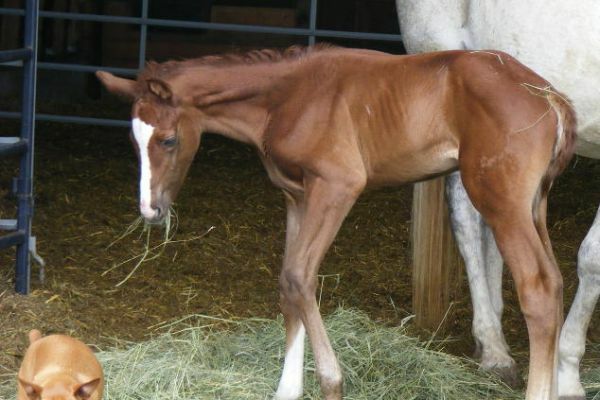 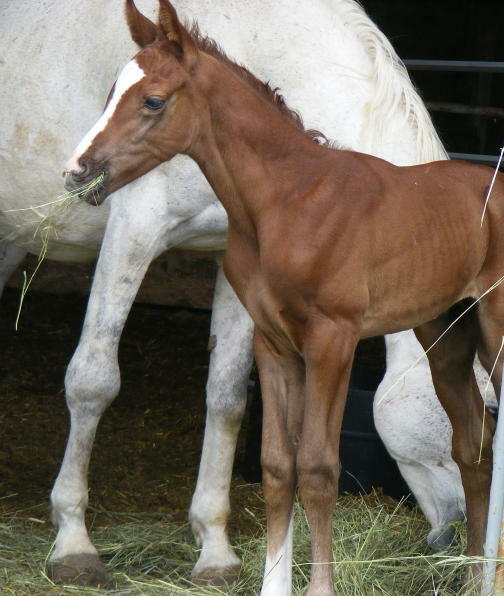 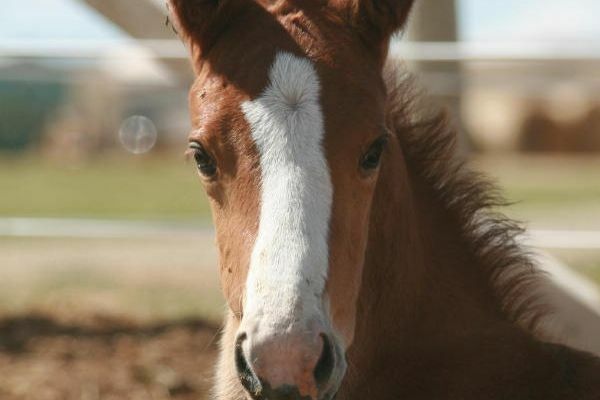 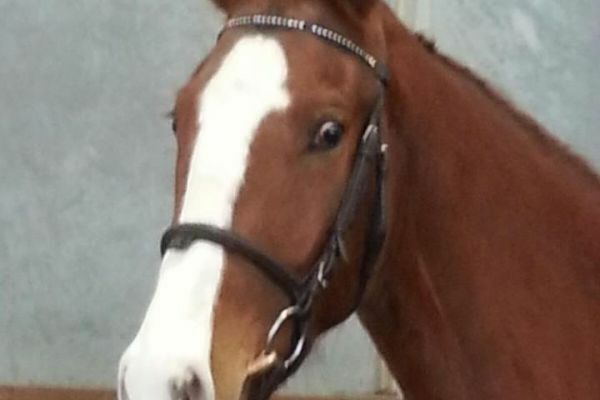 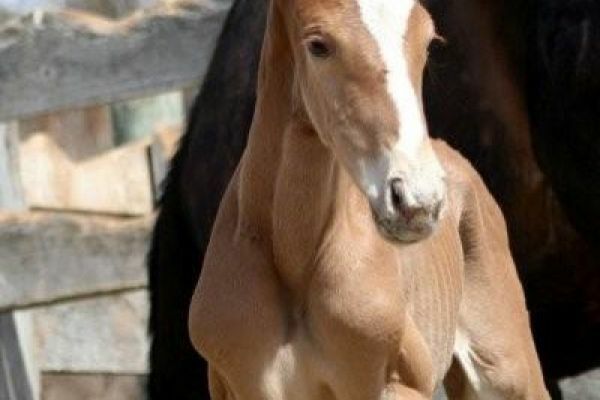 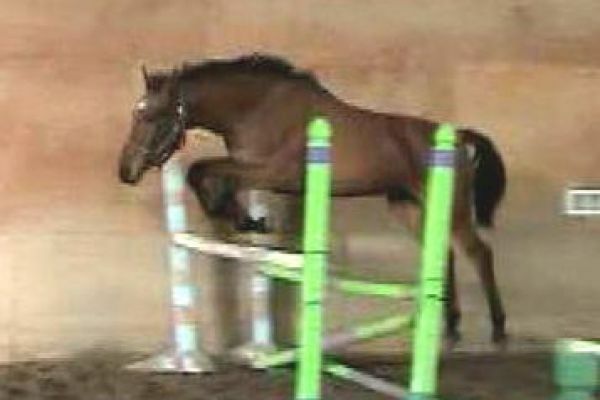 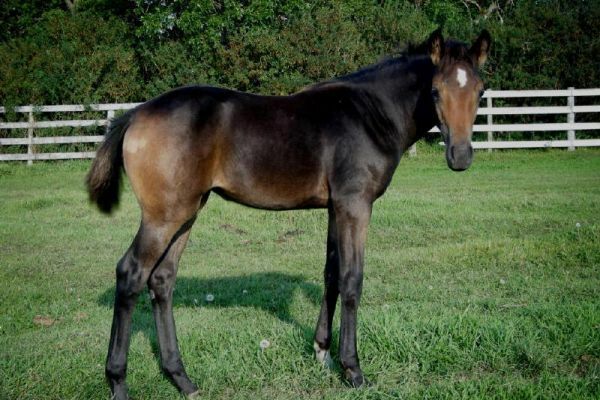 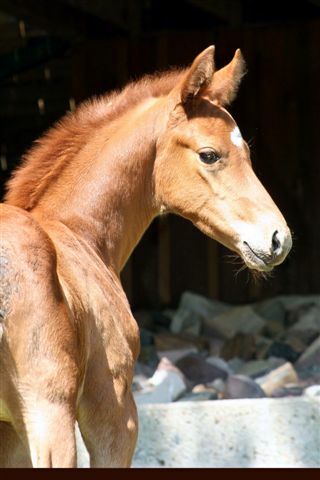 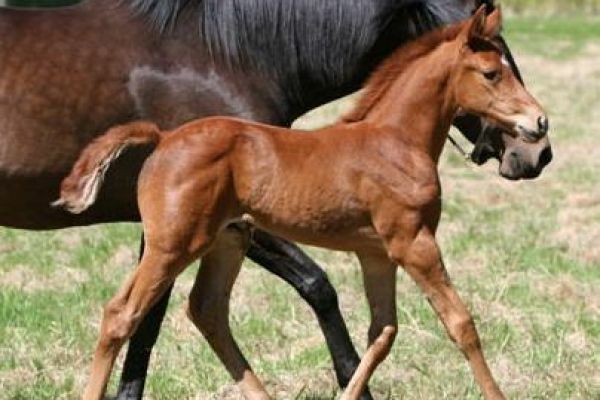 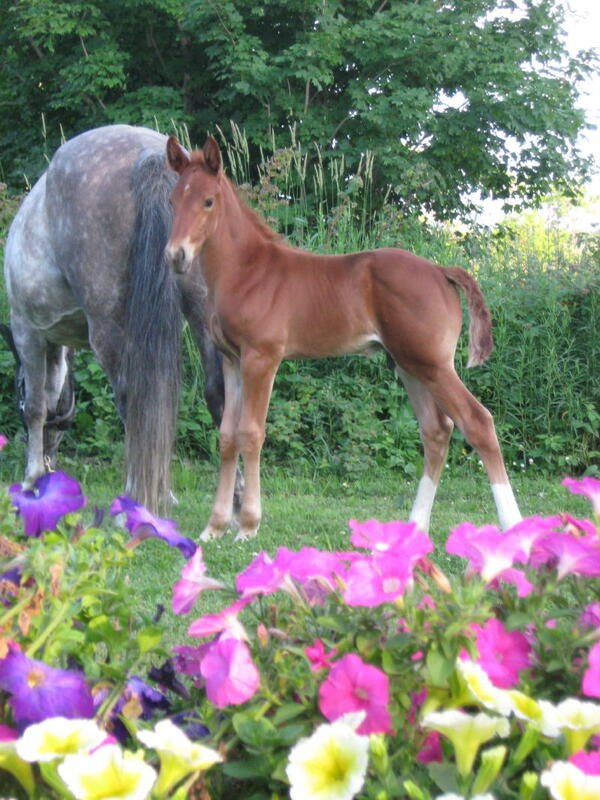 Dam: Odessa is a Preferent mare based off of her offsprings sport achievements as well as her top scores at inspection. 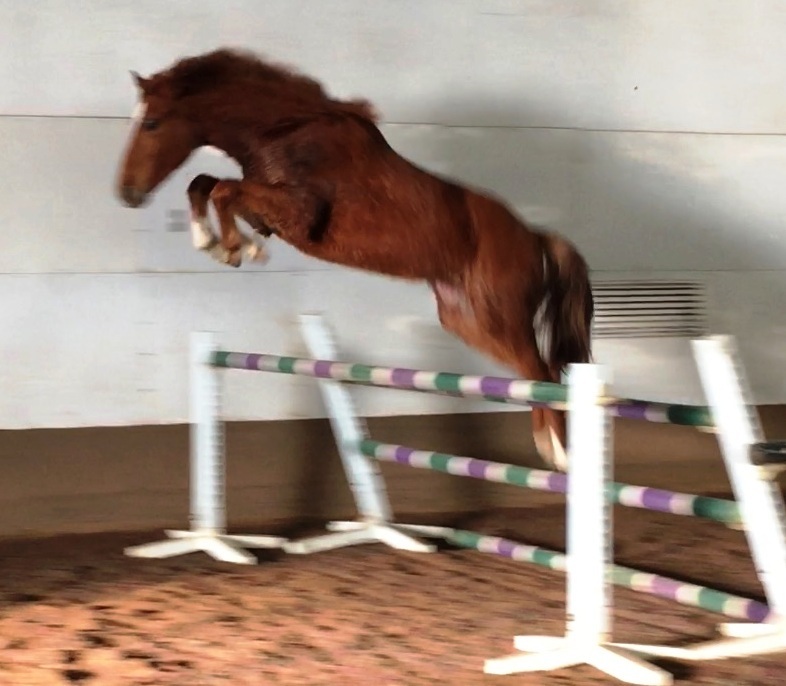 Zeno is her third son to be selected for approvals and her second one to become a 1.60m jumper her other son was a 1.45m jumper. 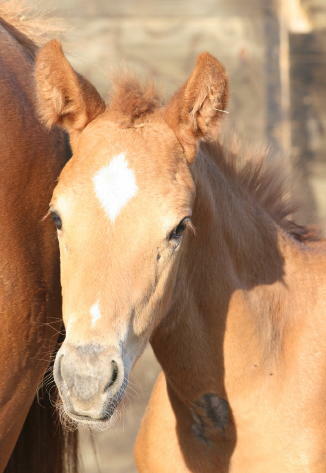 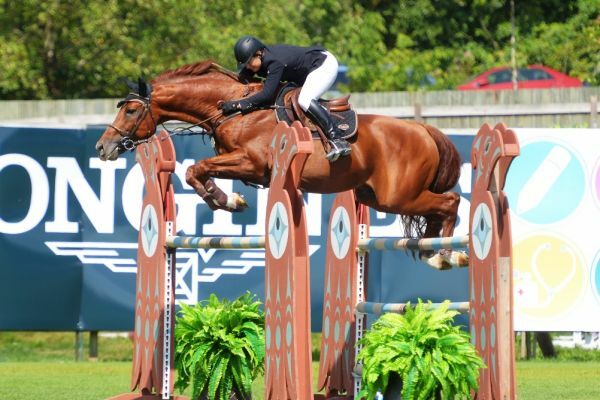 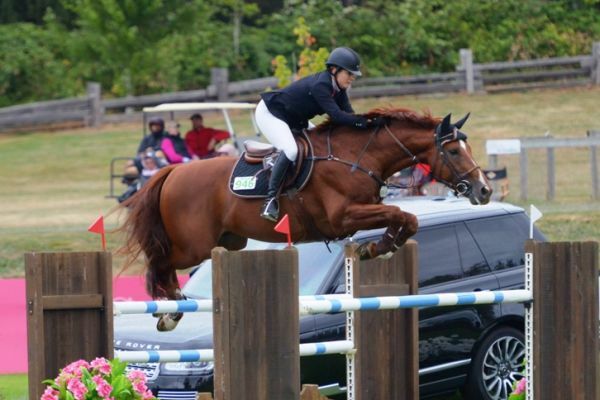 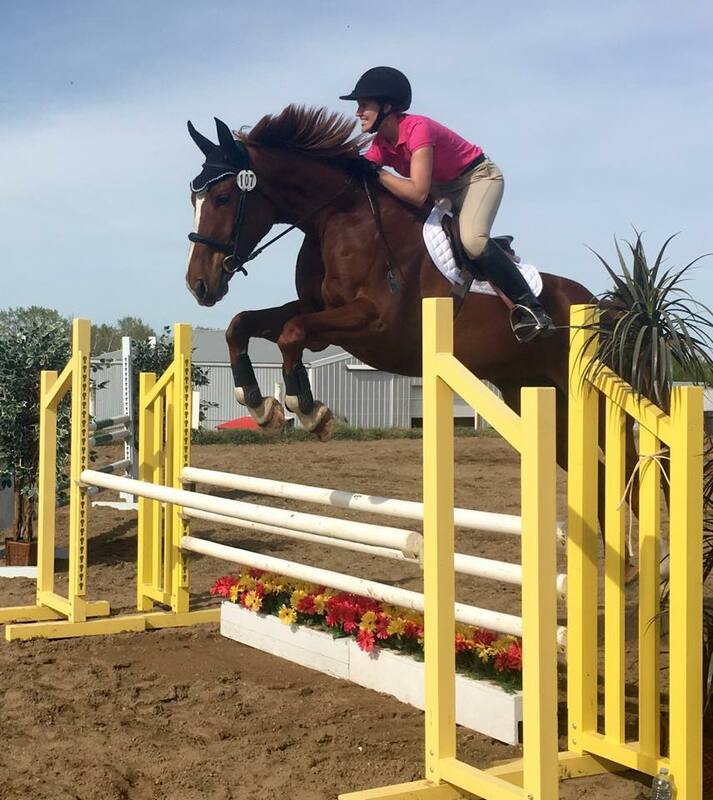 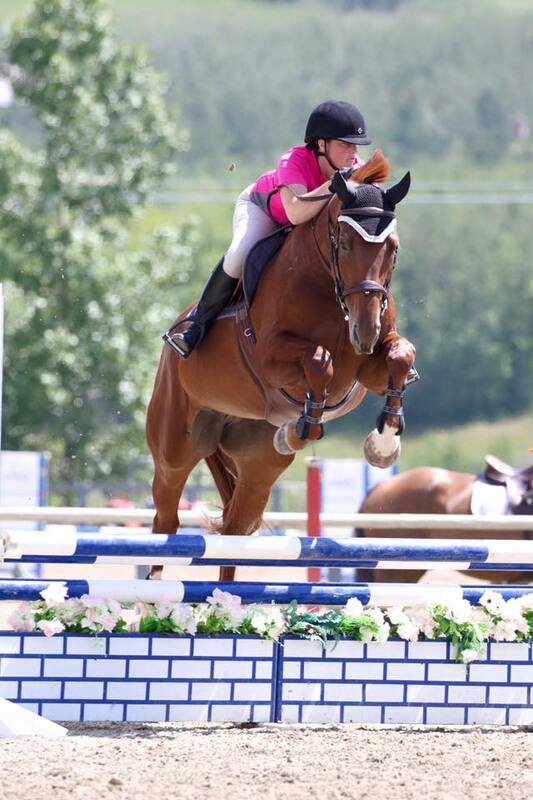 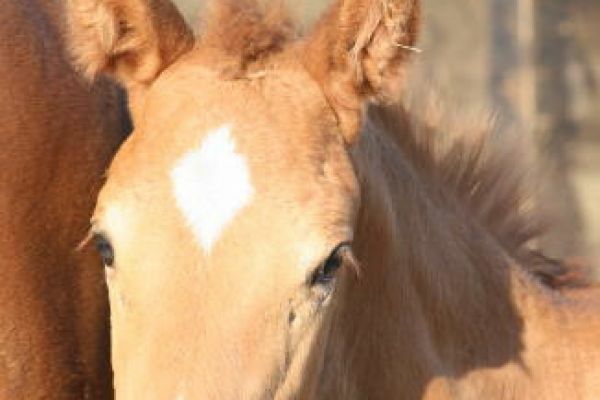 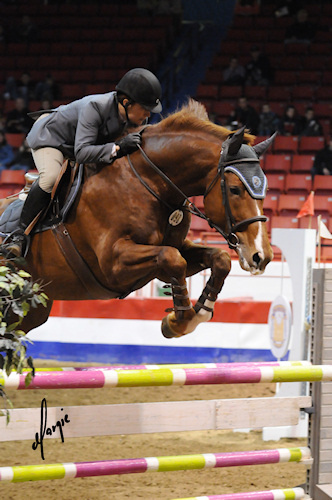 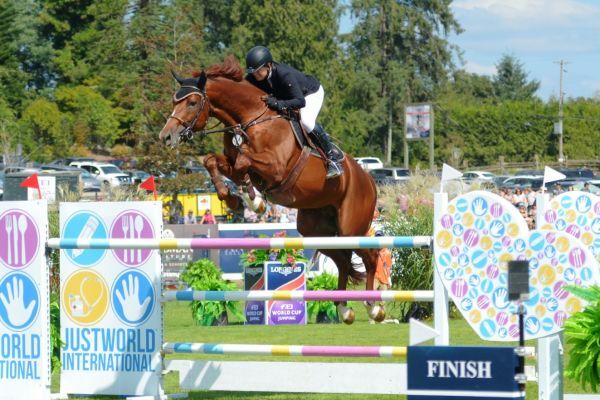 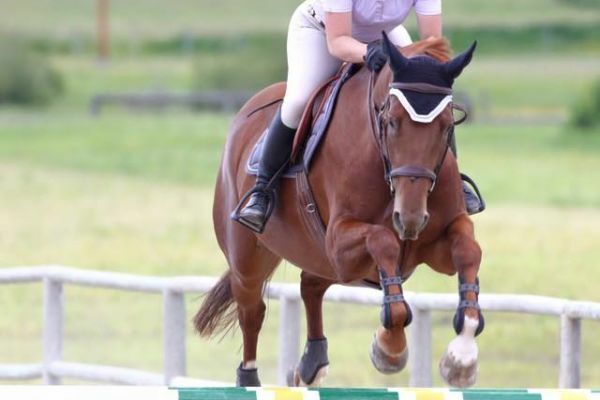 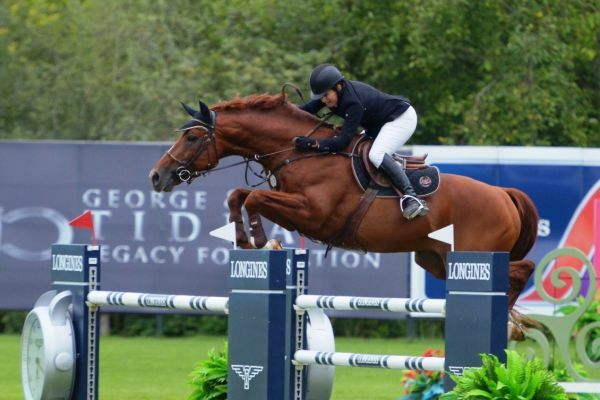 Zeno's two younger half sisters are both competing in the jumper ring at a high level as well, which makes every single offspring of Odessa having become very successful show jumpers. 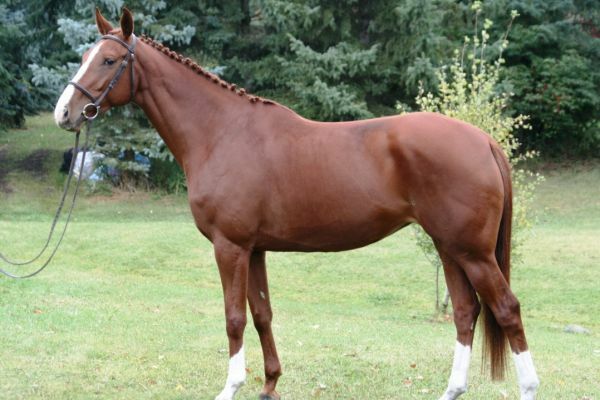 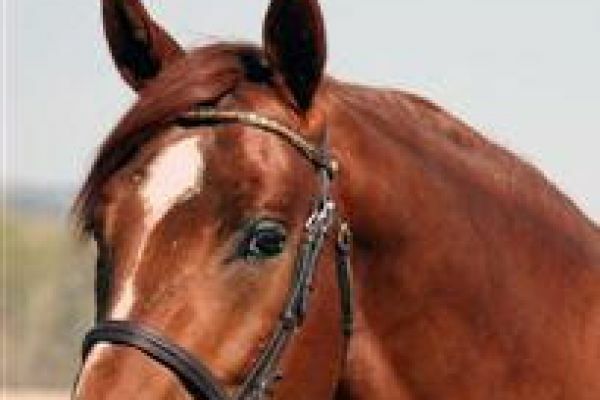 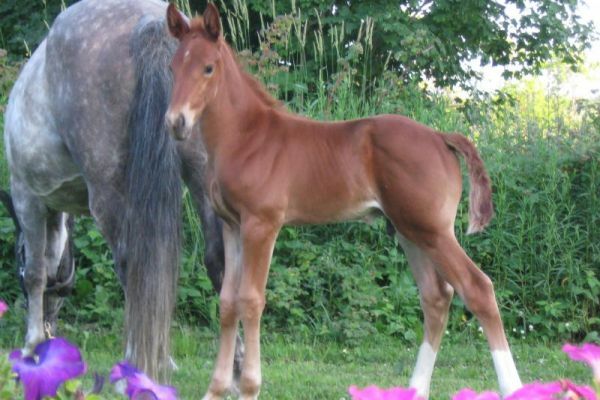 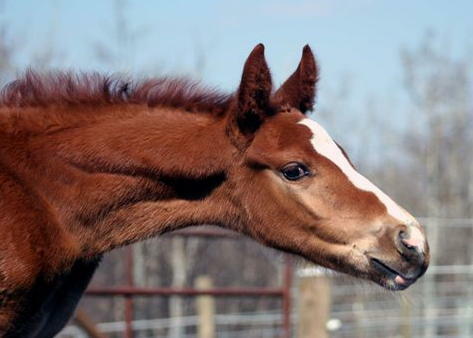 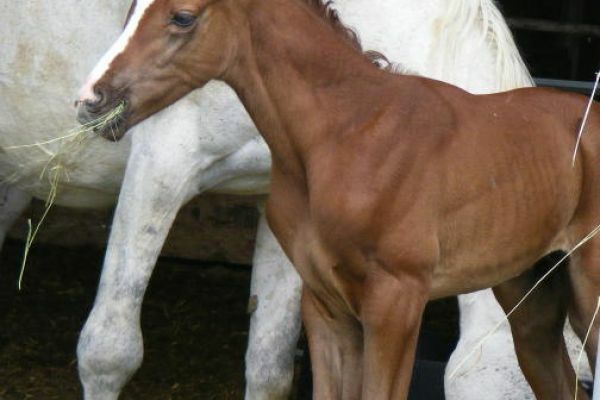 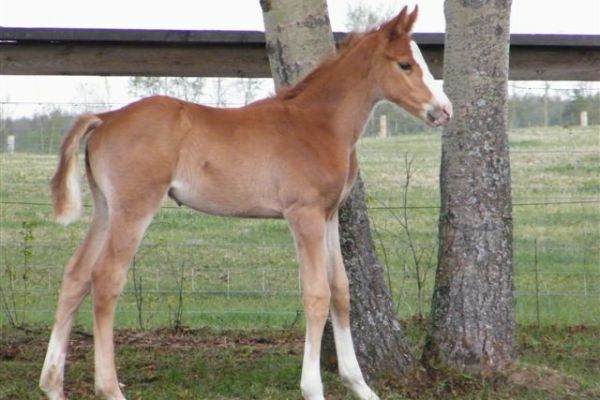 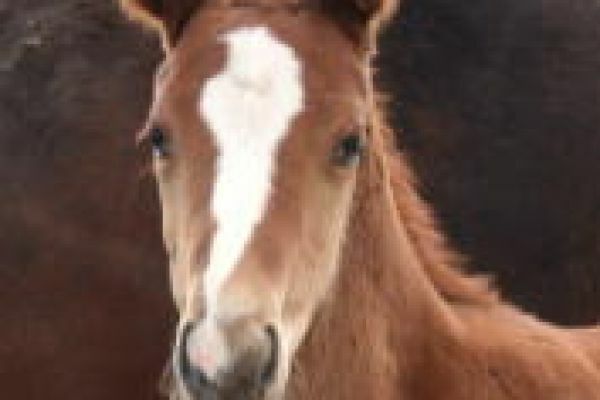 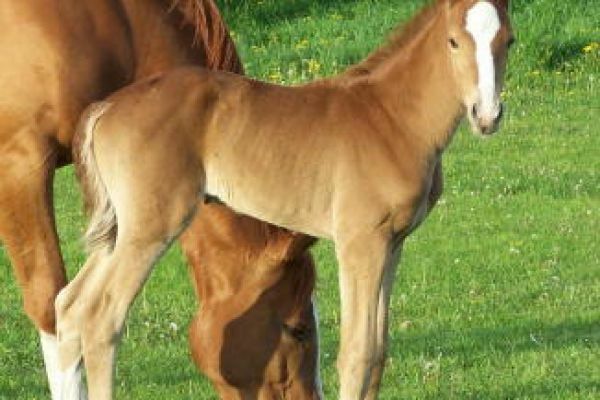 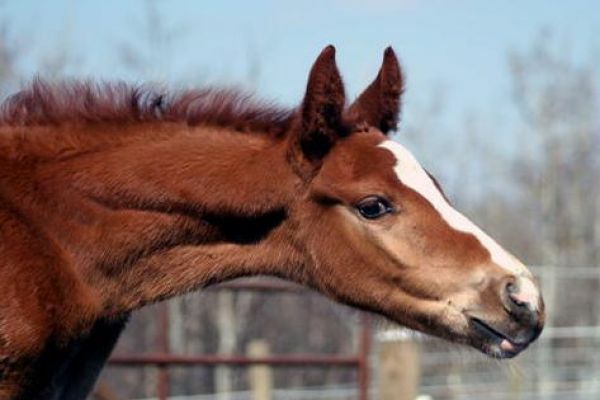 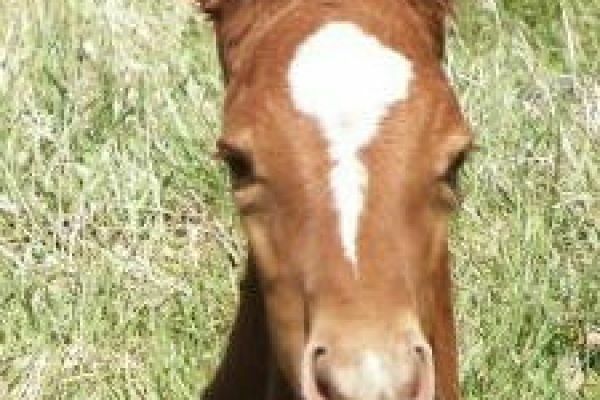 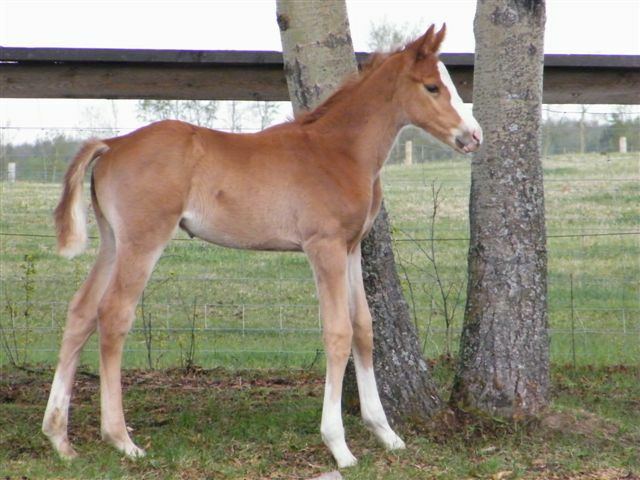 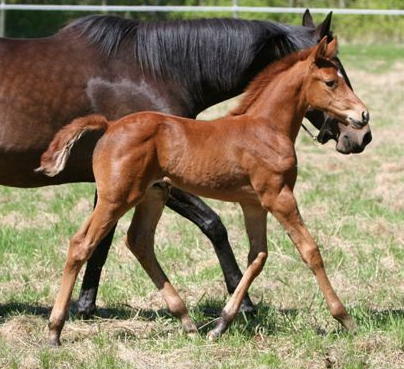 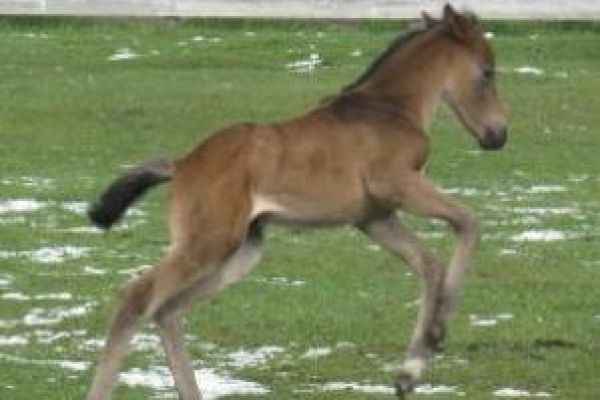 She comes from the Holstein Stamm 104a which is a multi branched line that produces both top Show jumpers and Dressage horses.